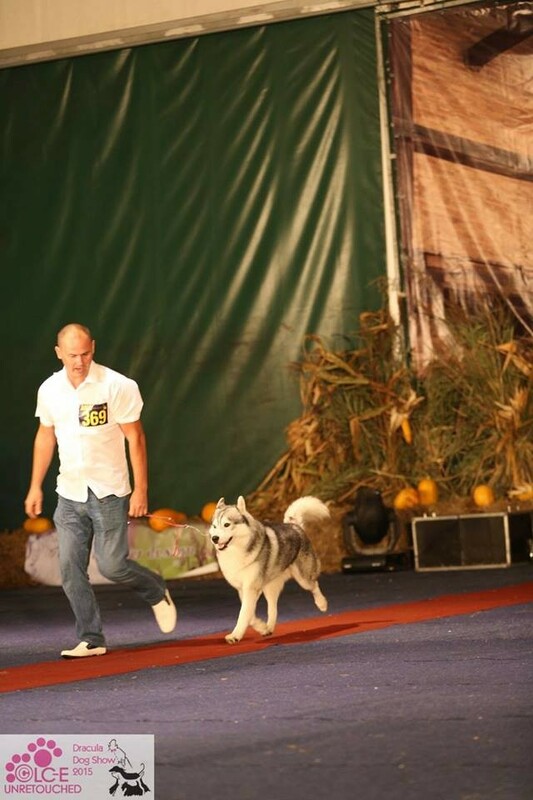 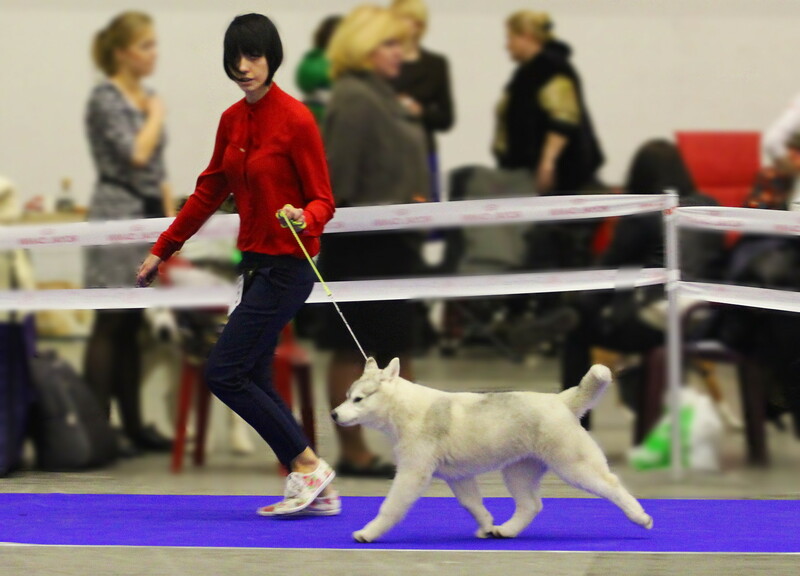 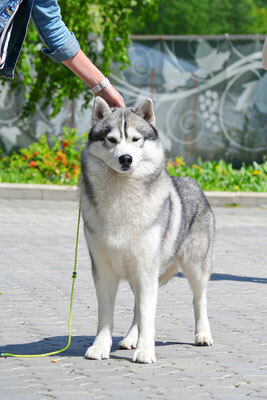 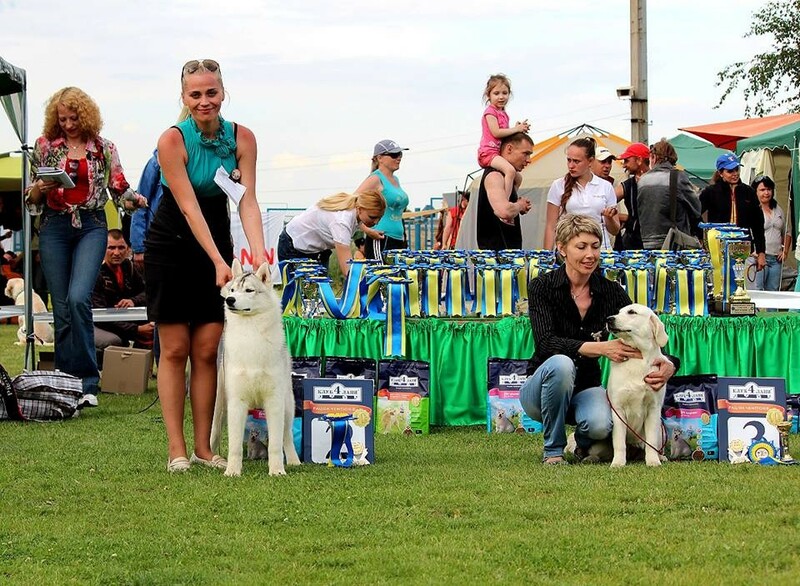 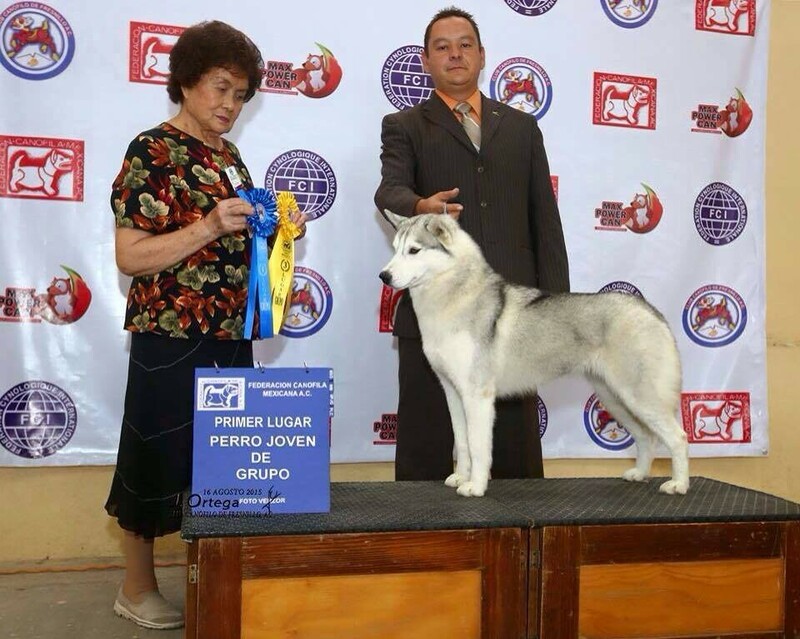 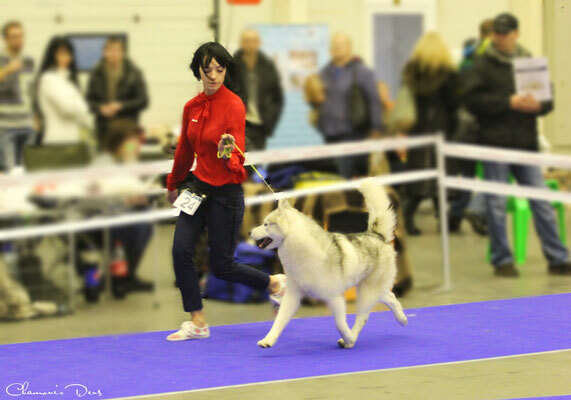 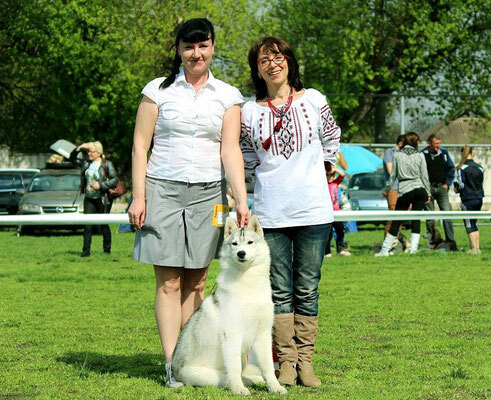 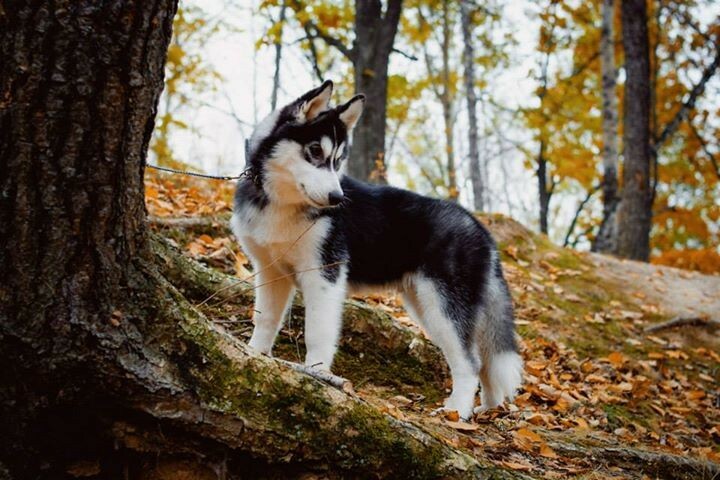 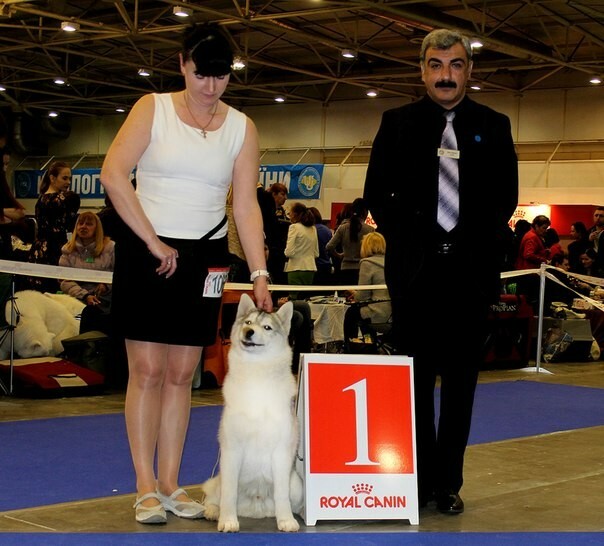 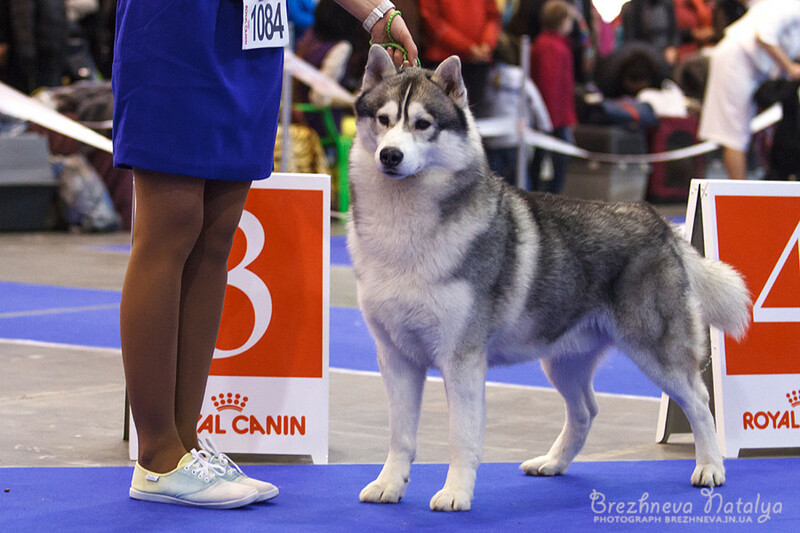 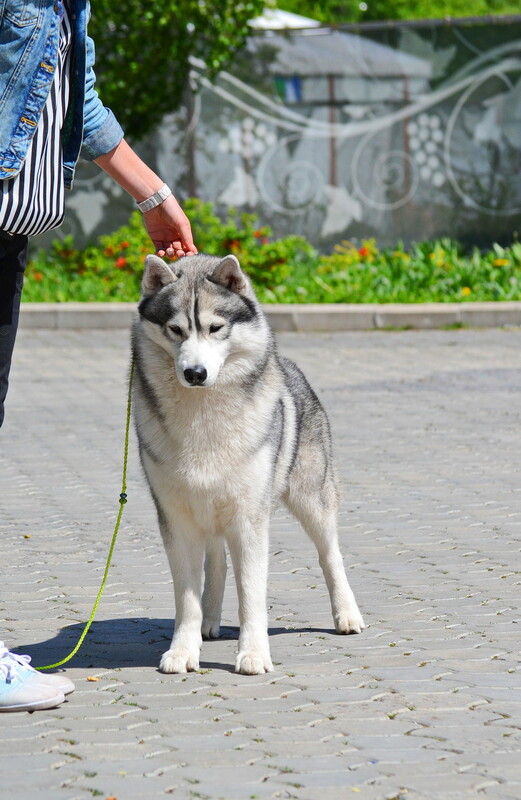 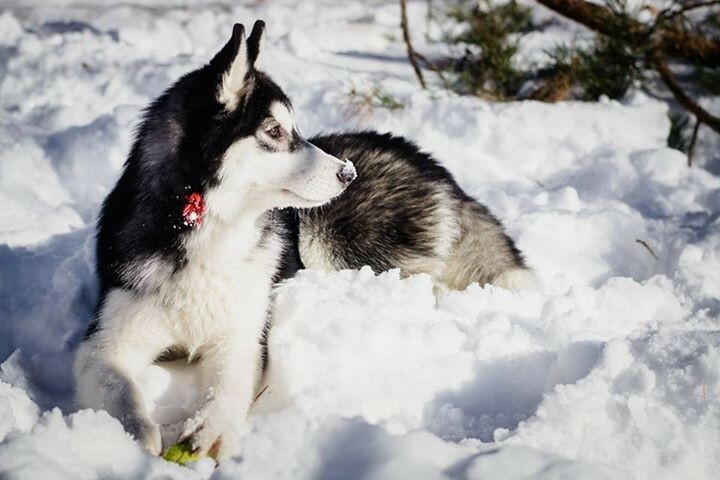 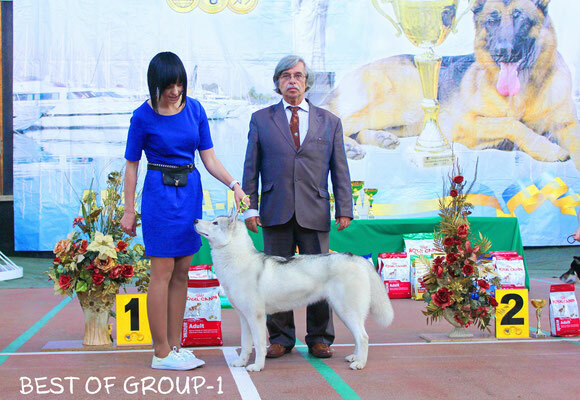 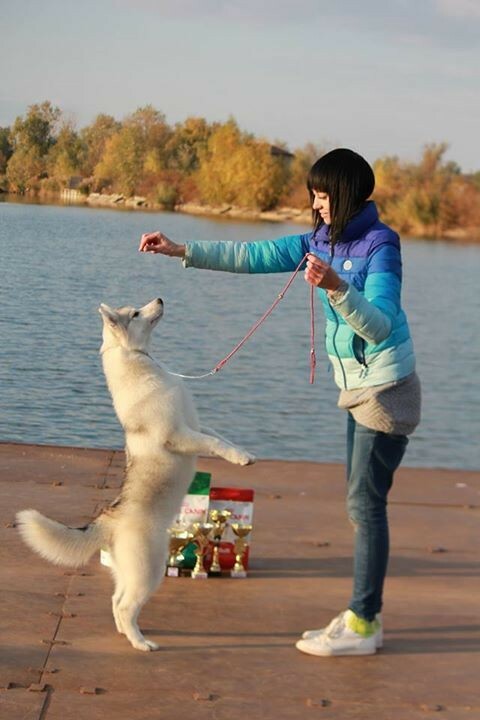 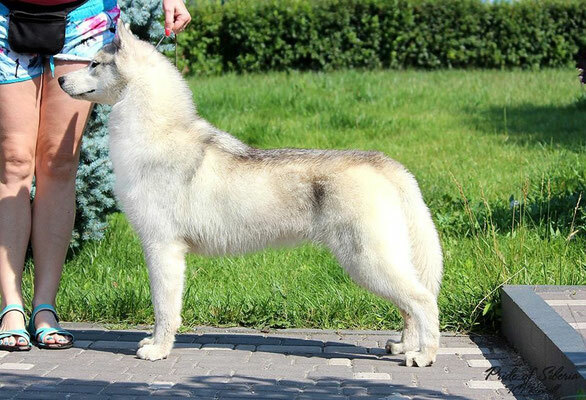 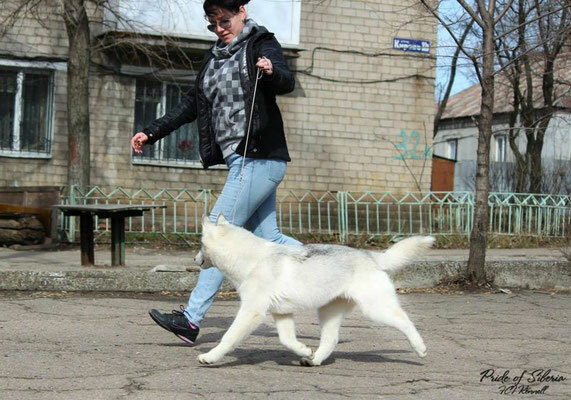 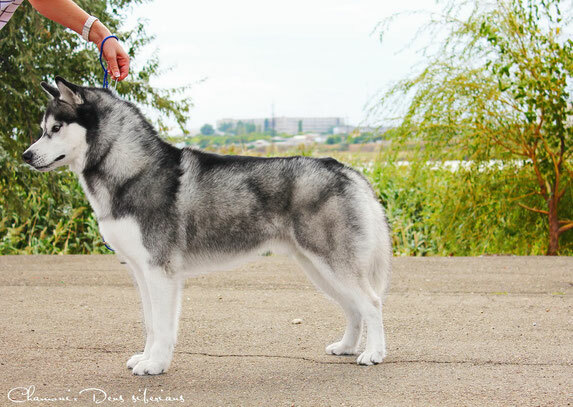 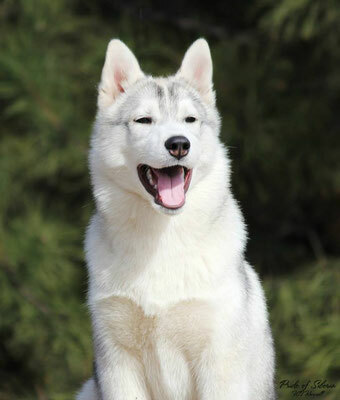 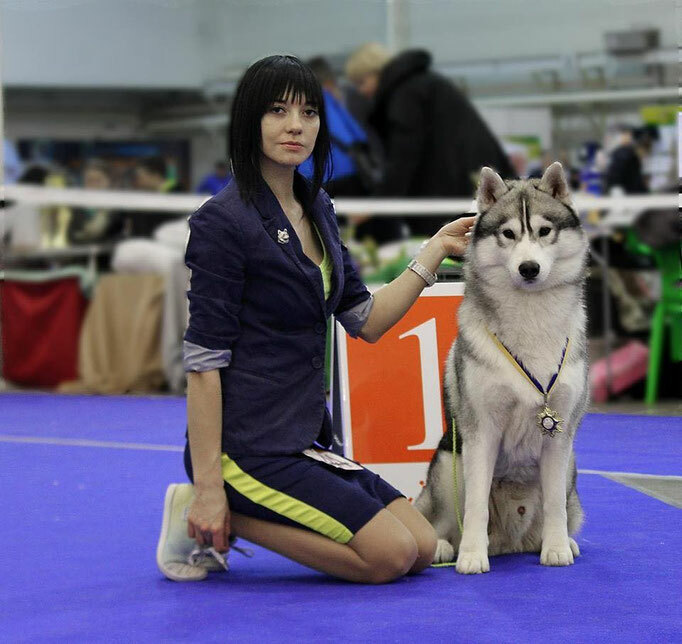 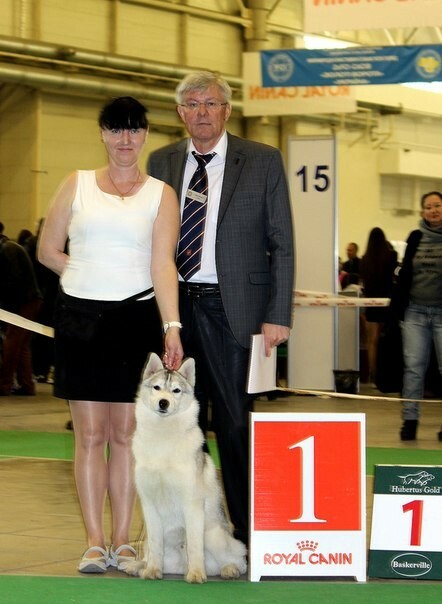 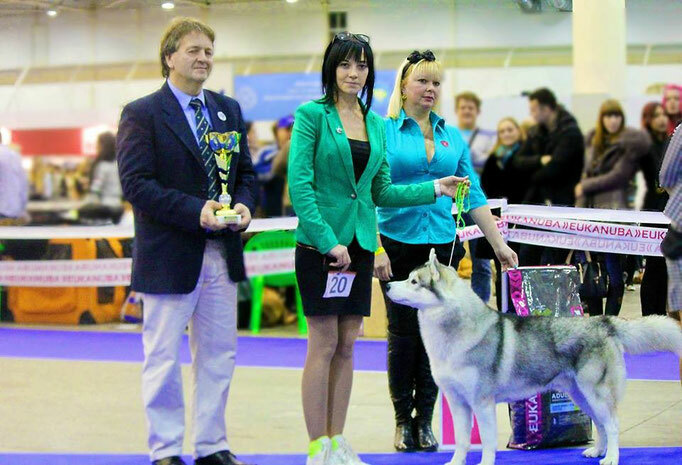 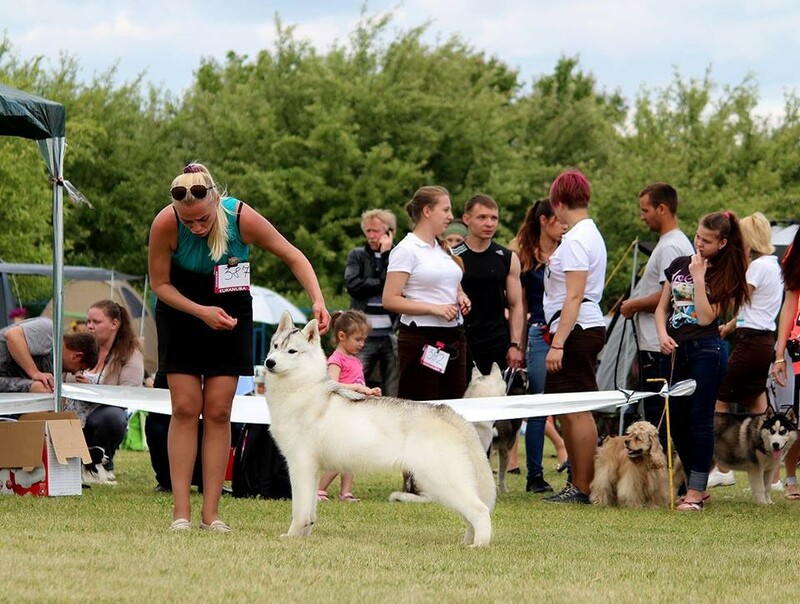 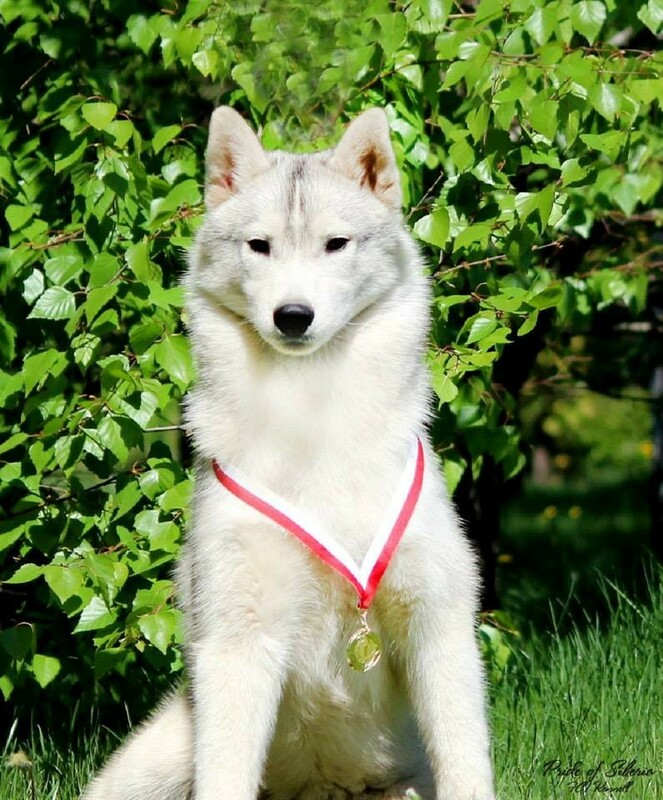 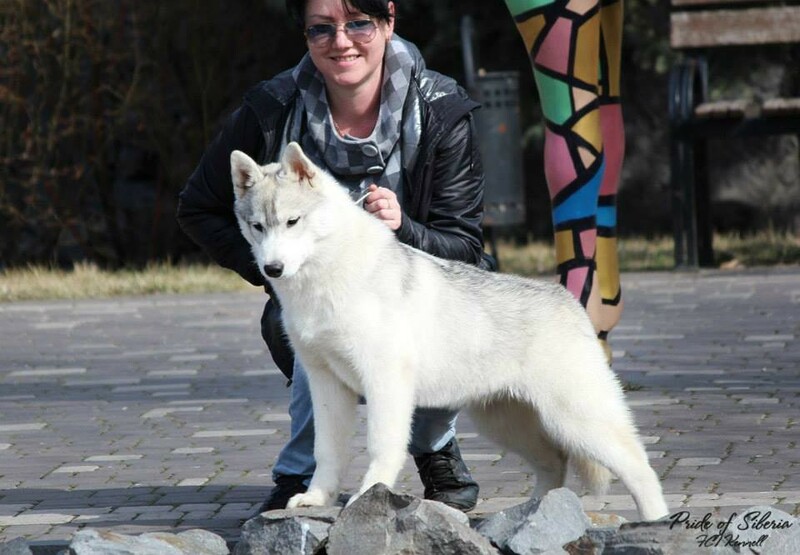 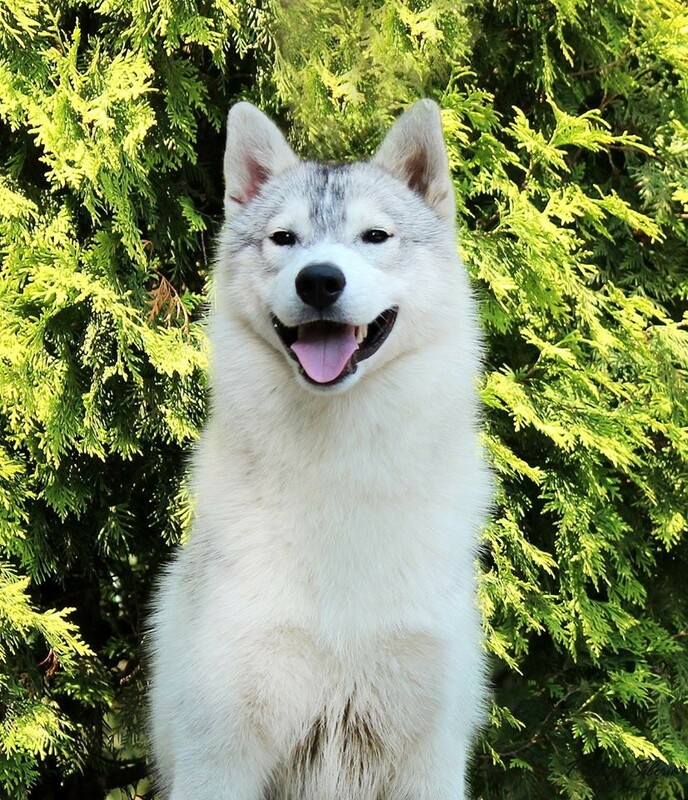 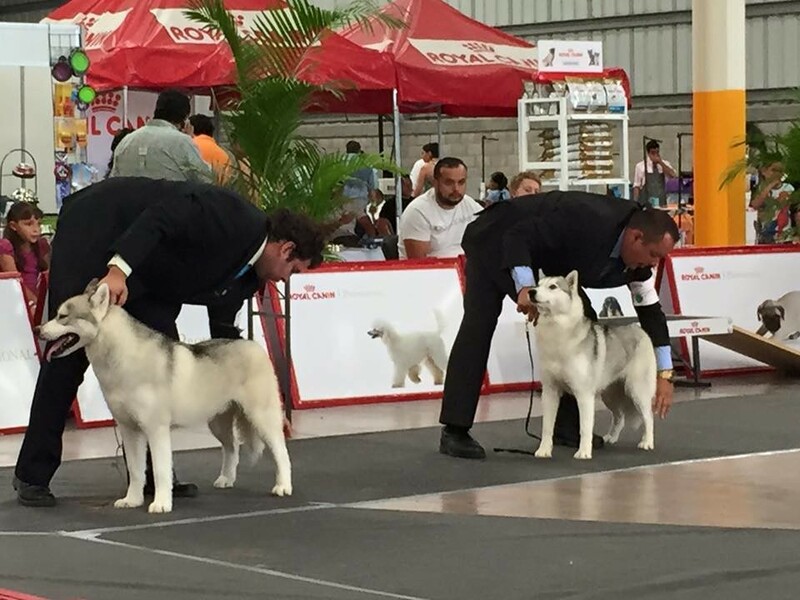 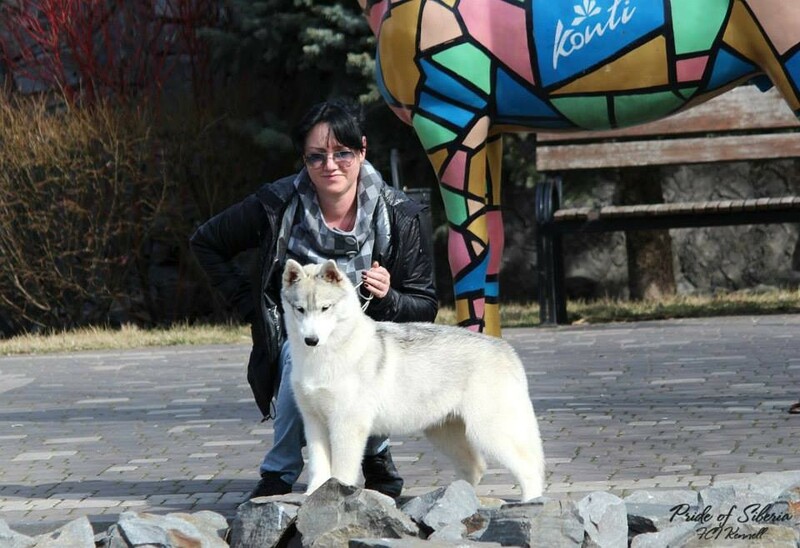 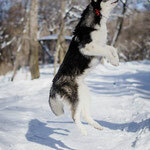 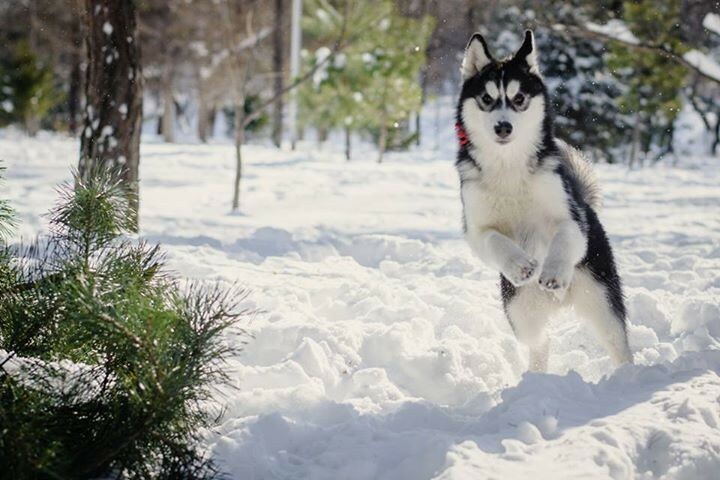 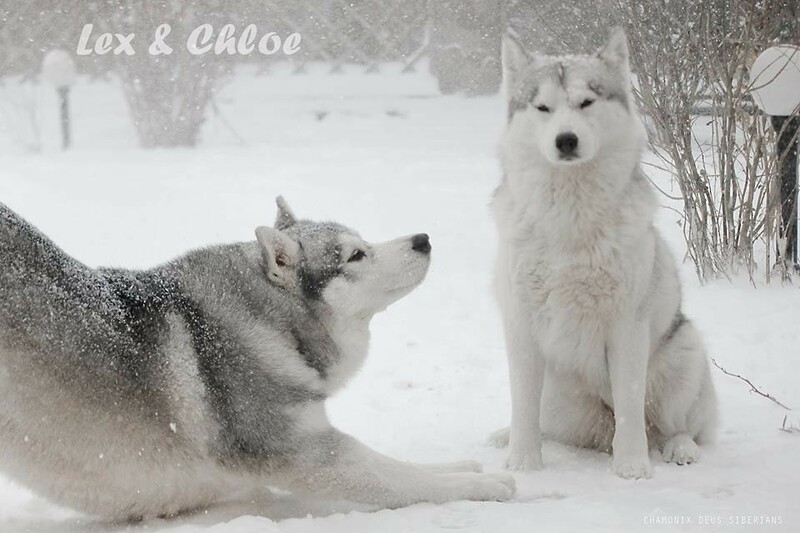 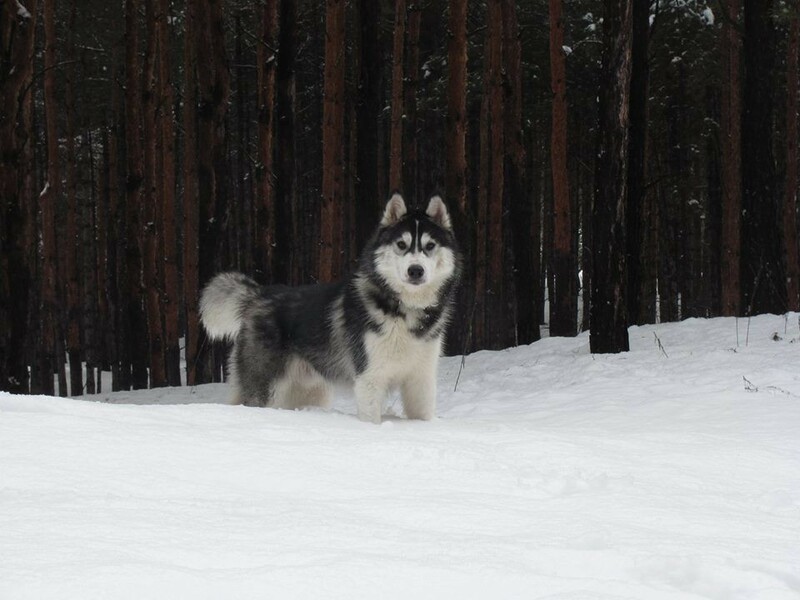 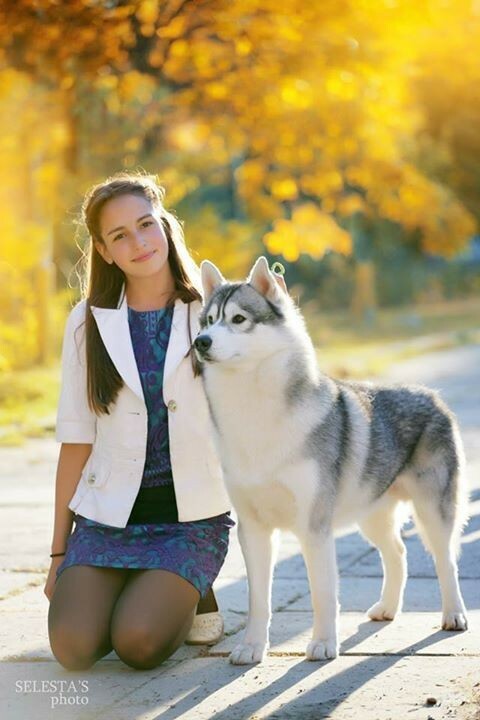 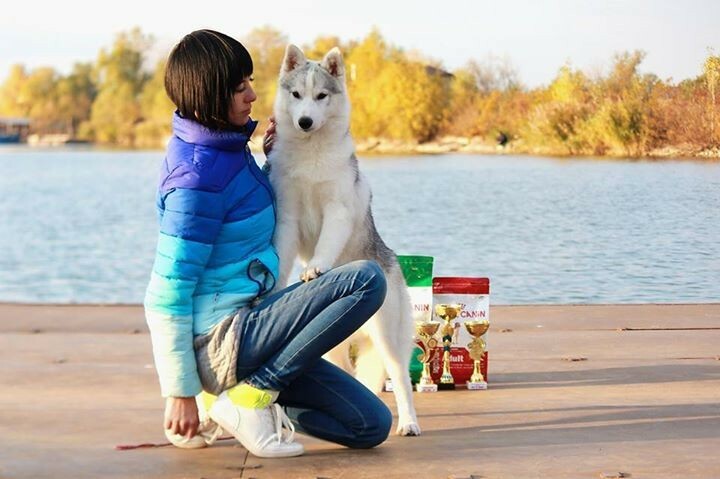 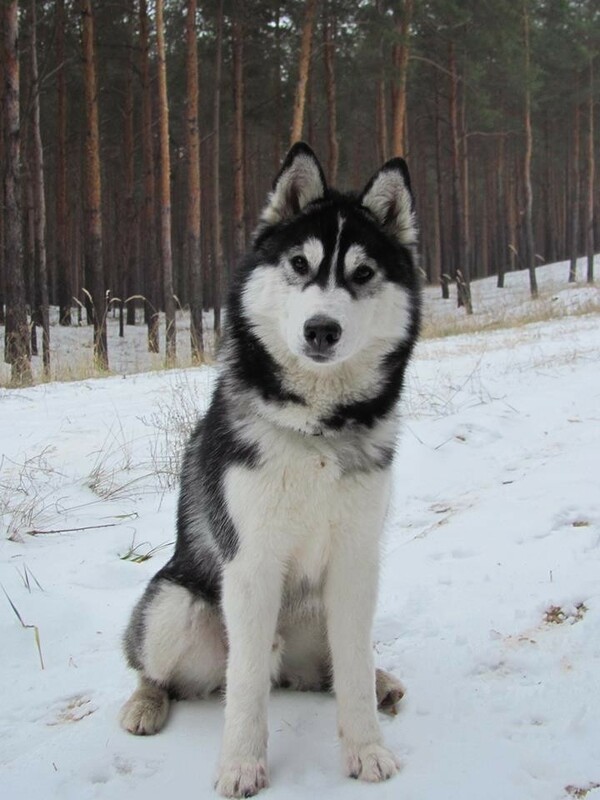 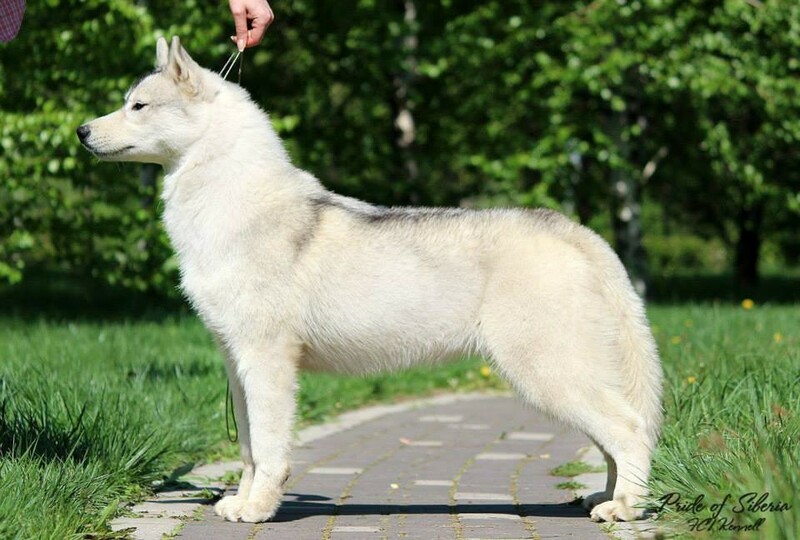 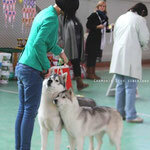 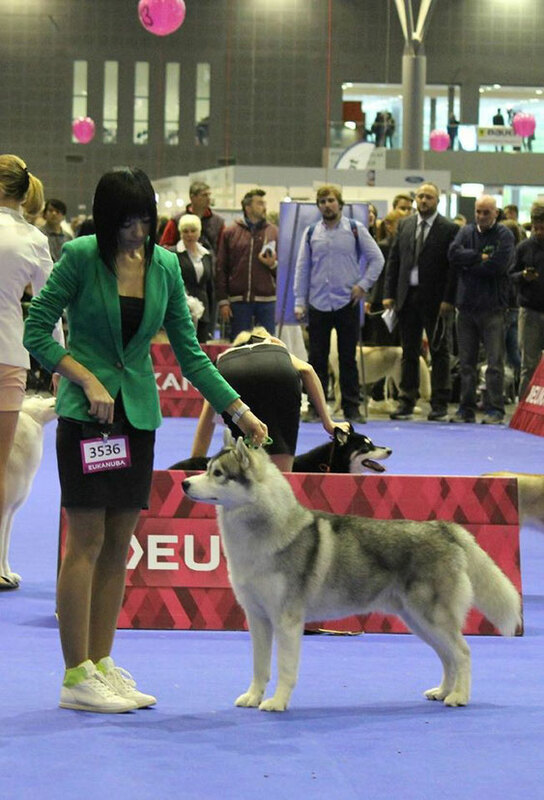 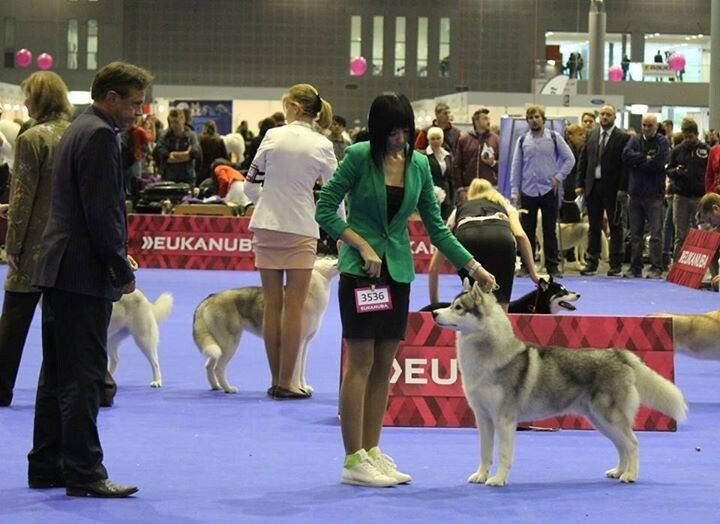 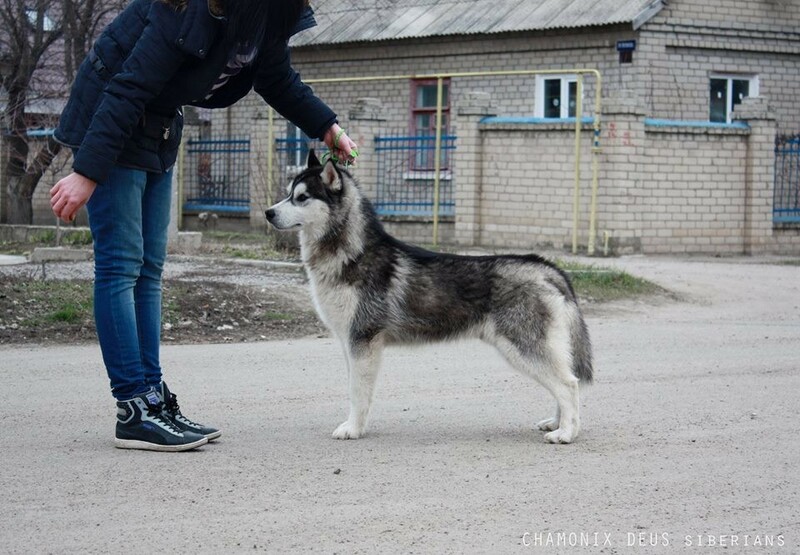 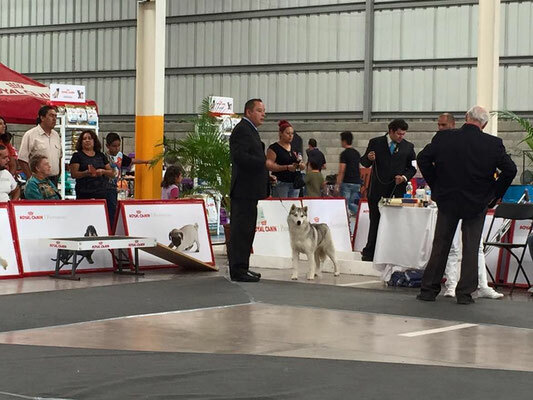 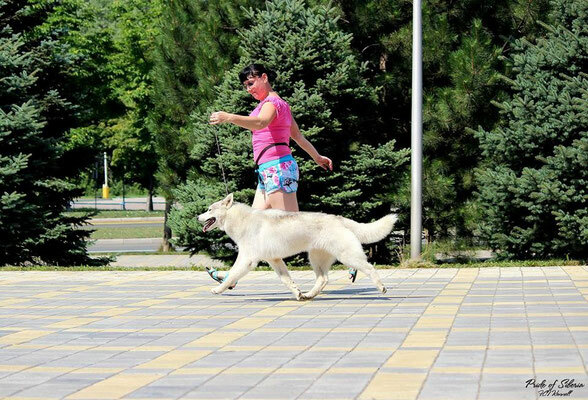 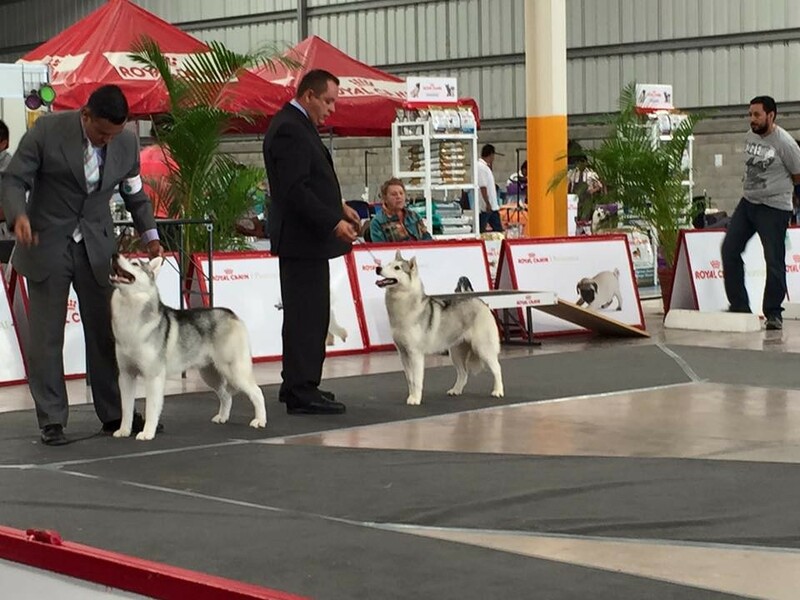 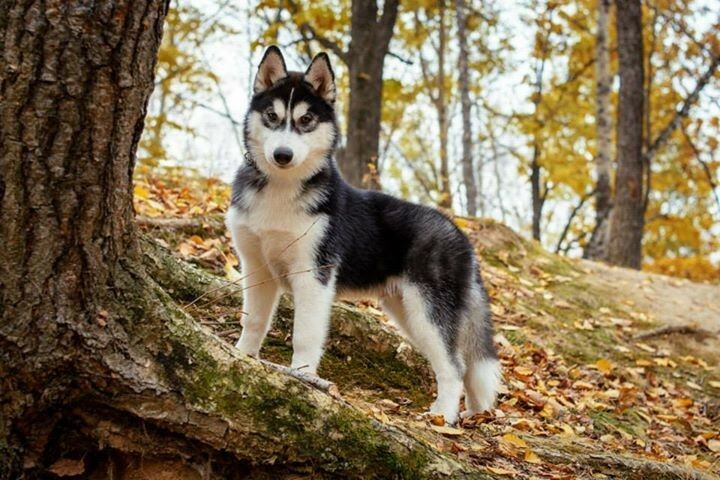 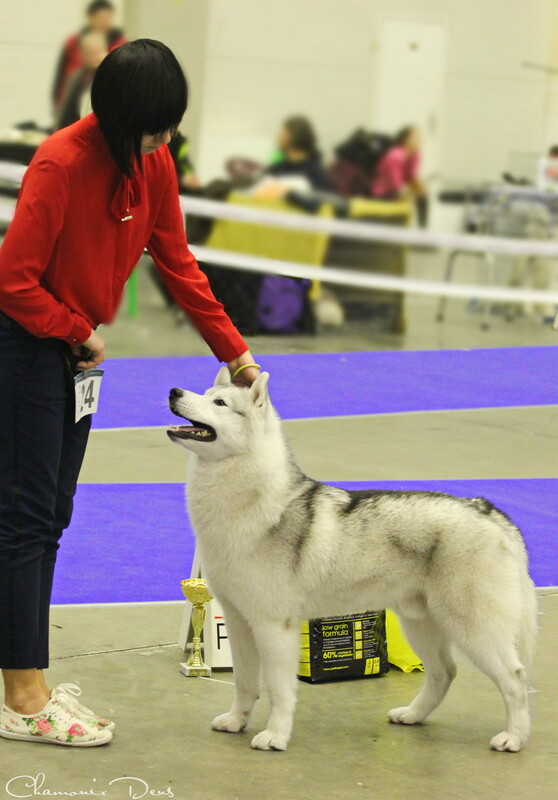 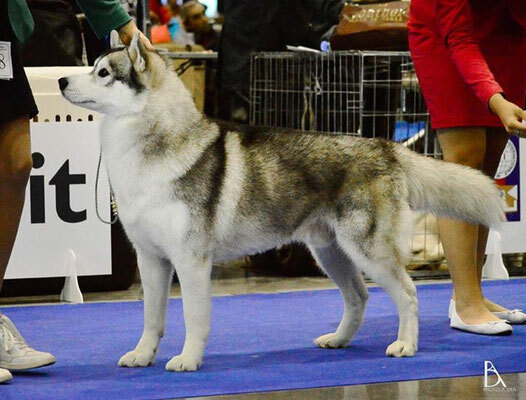 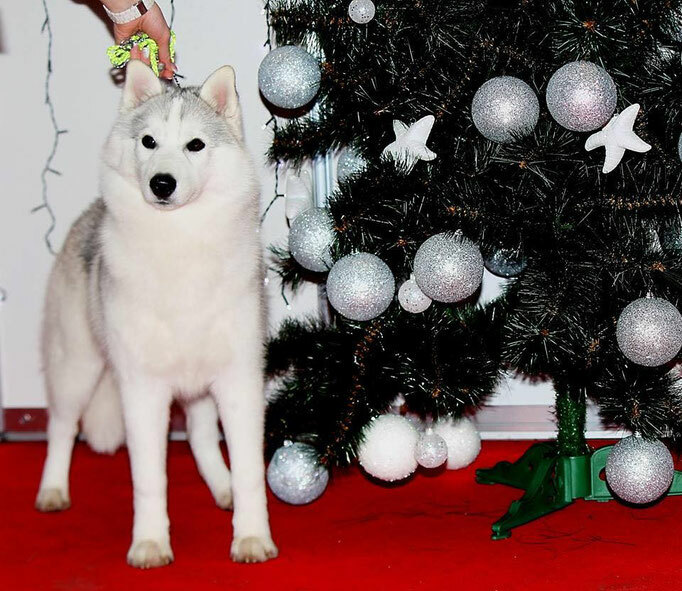 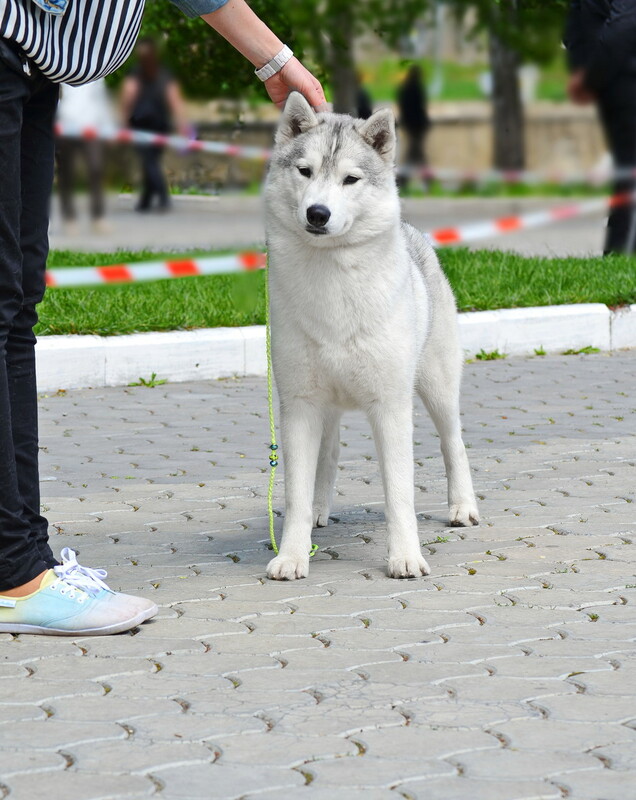 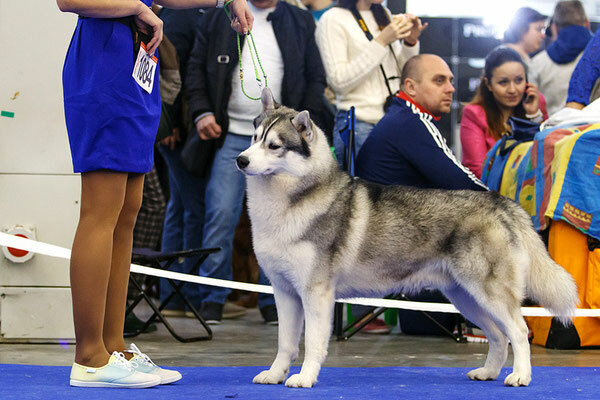 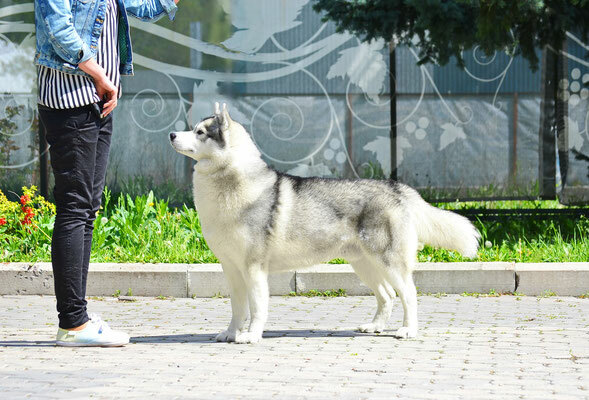 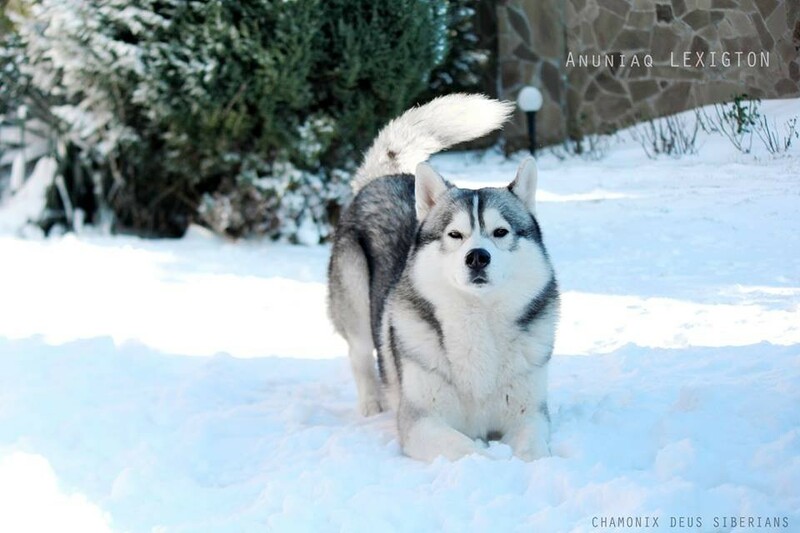 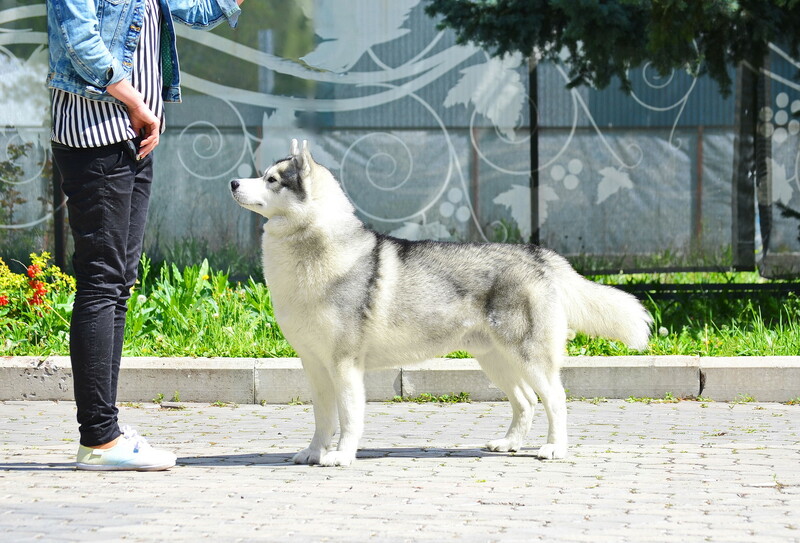 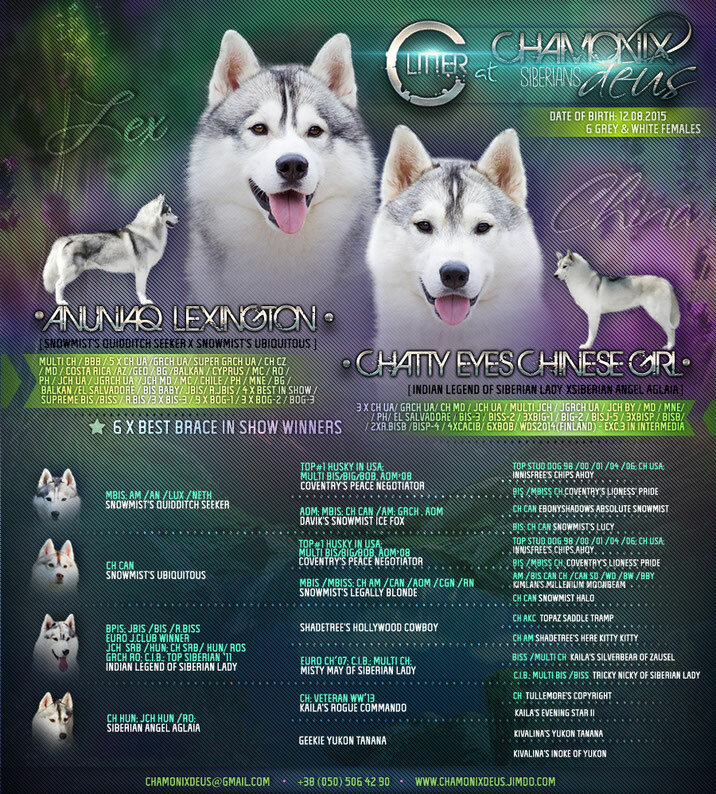 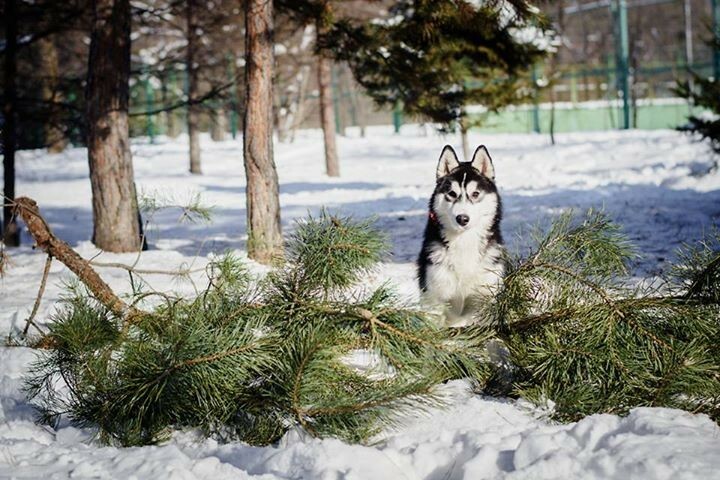 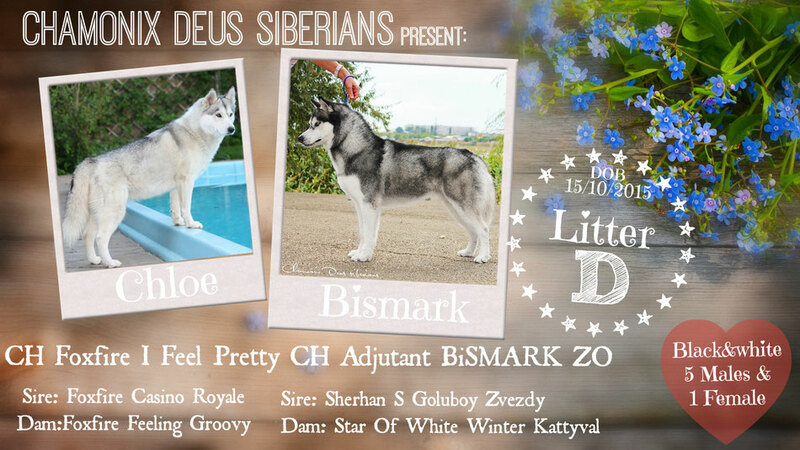 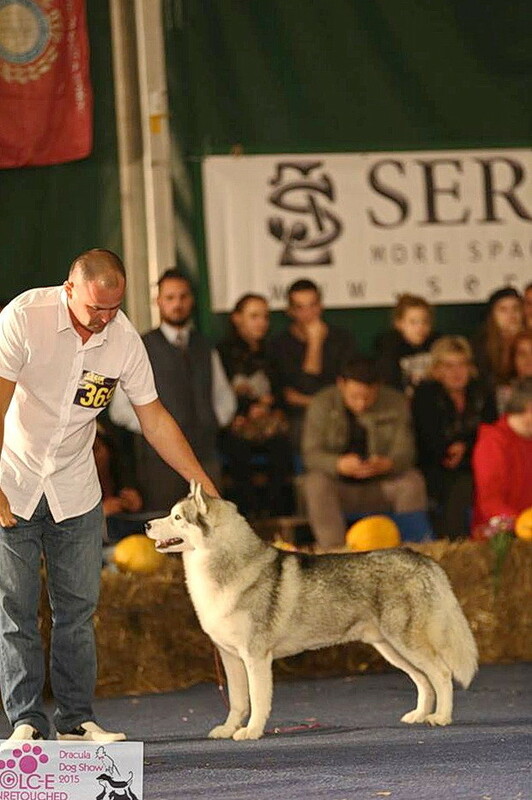 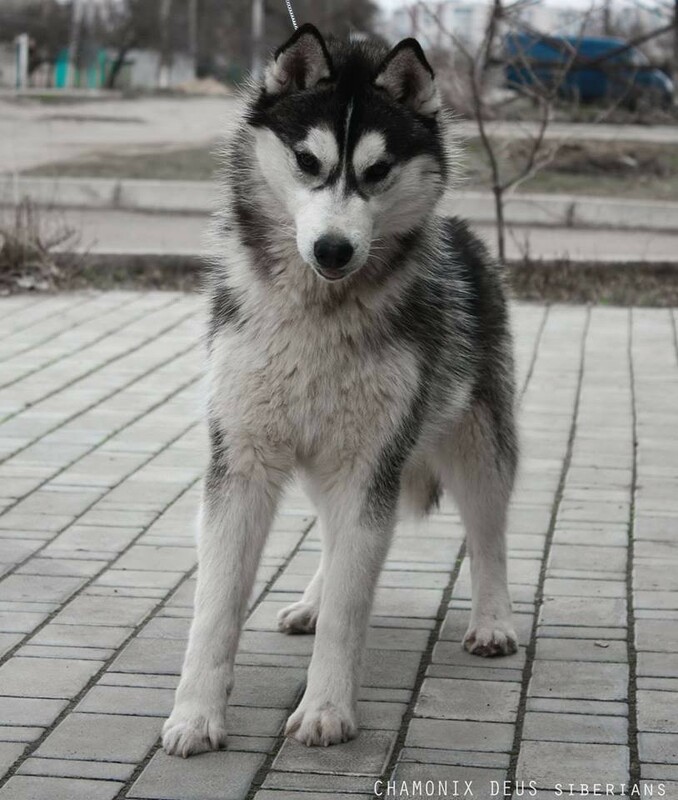 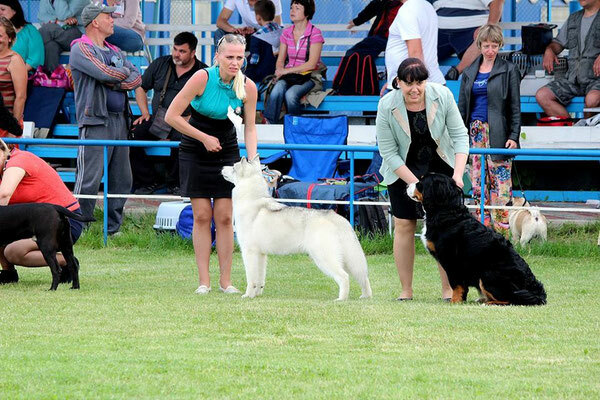 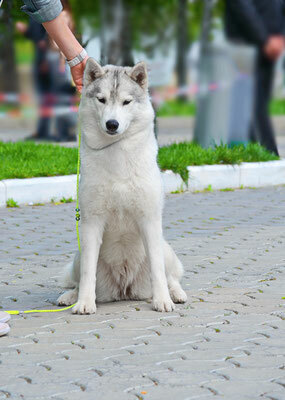 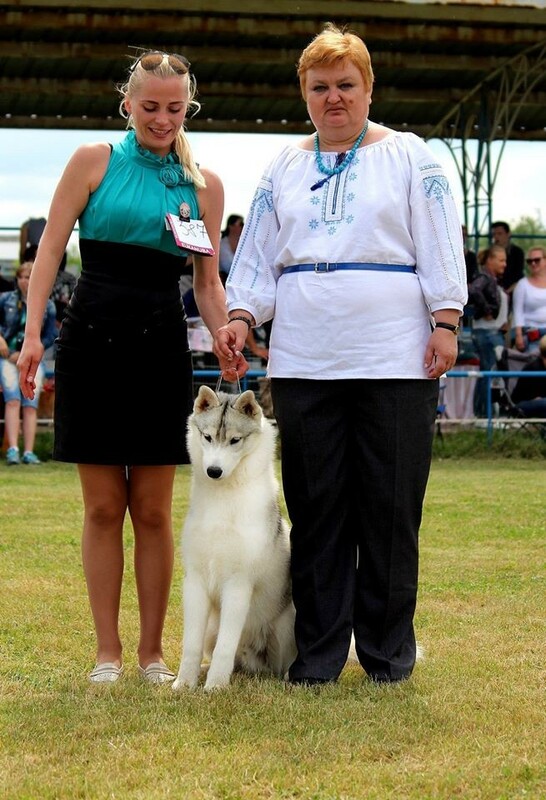 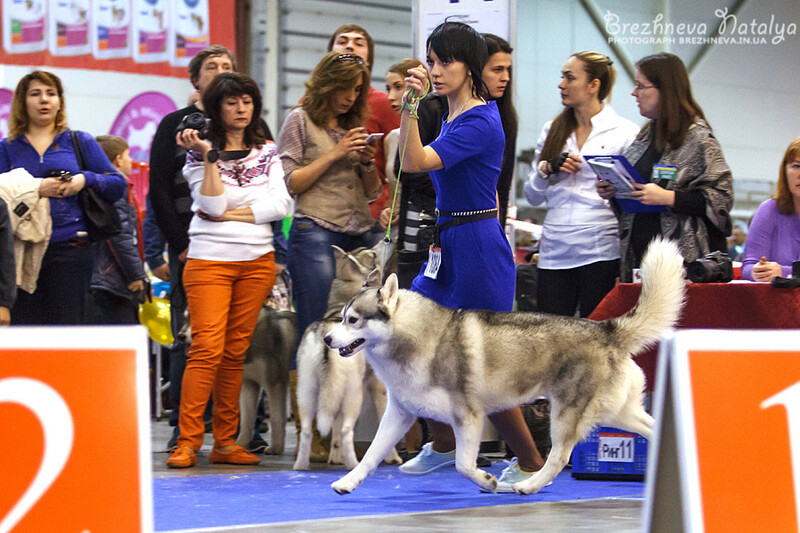 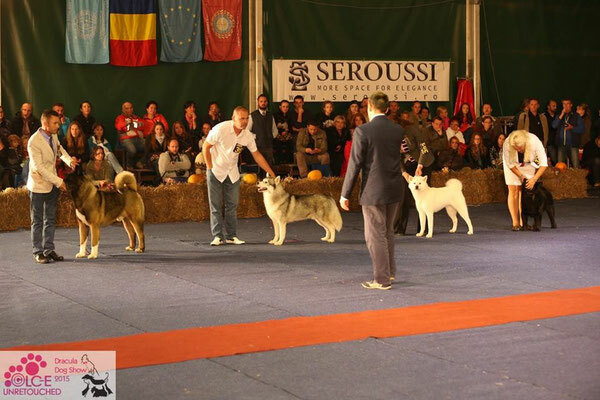 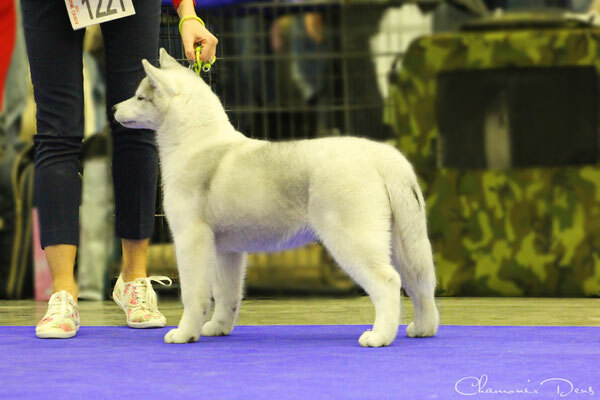 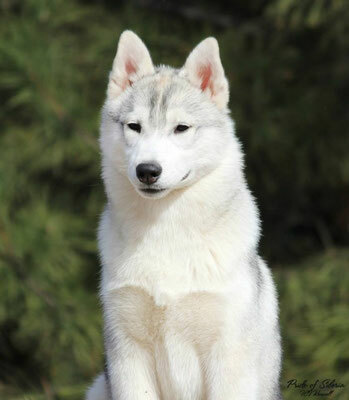 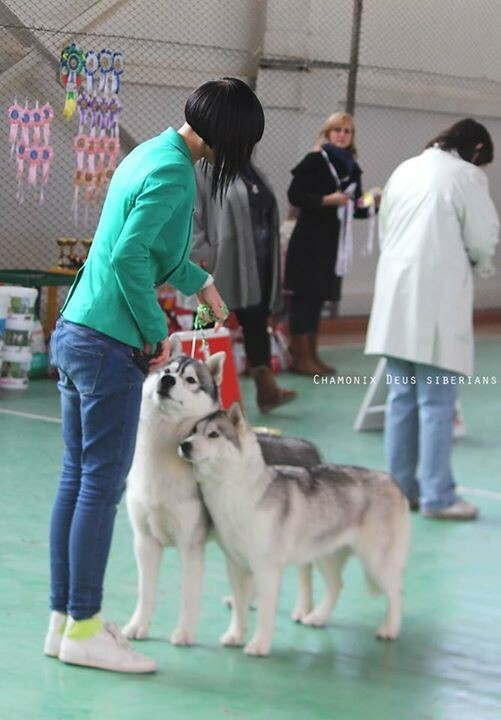 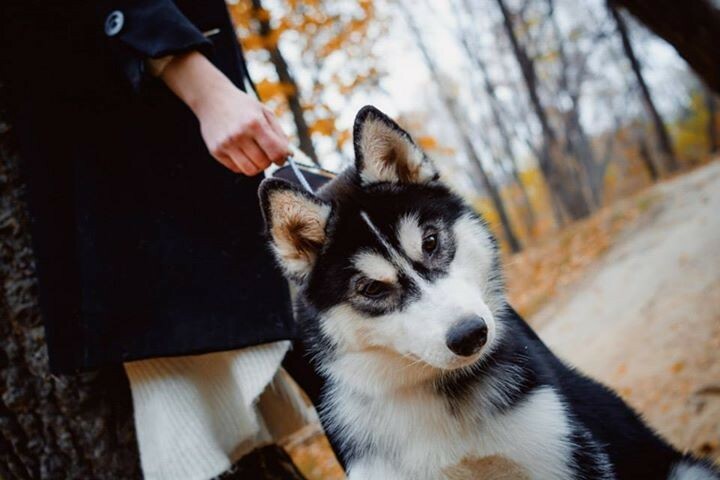 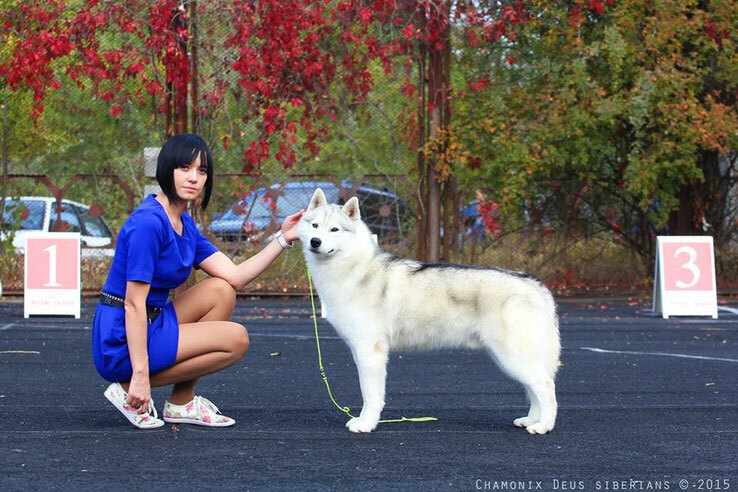 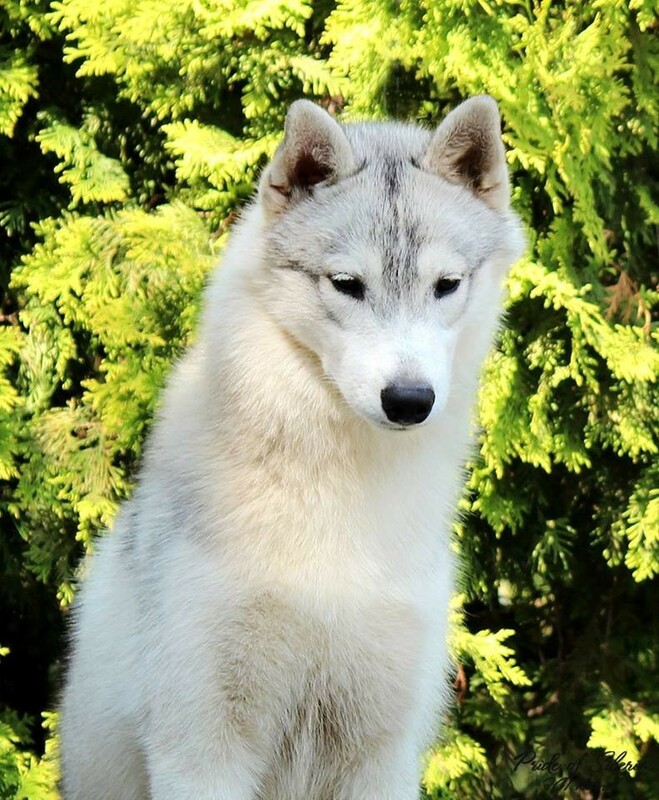 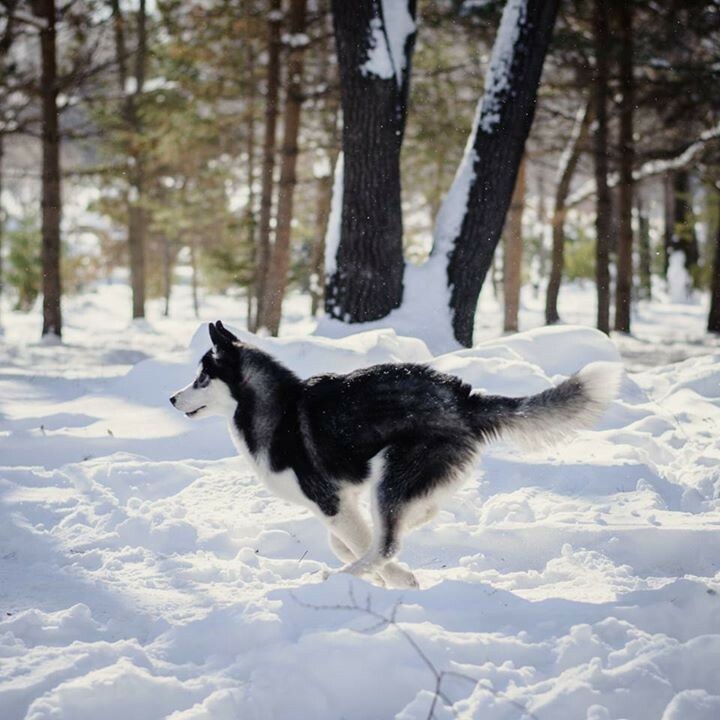 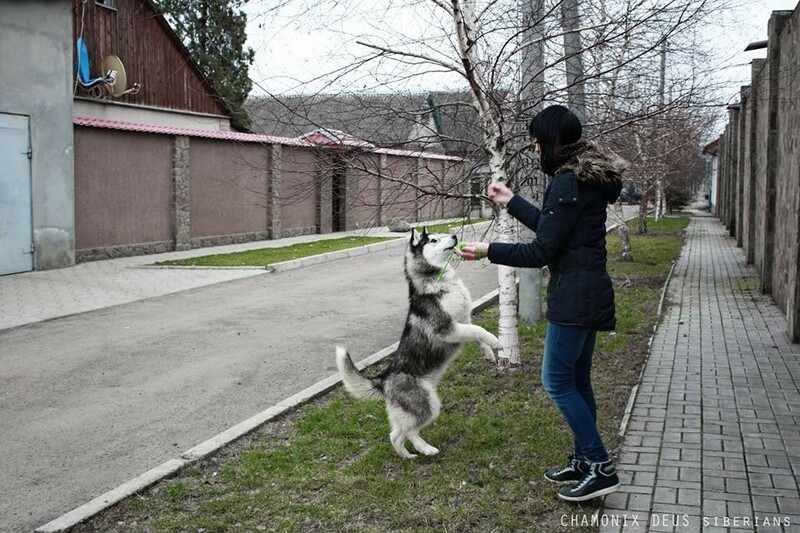 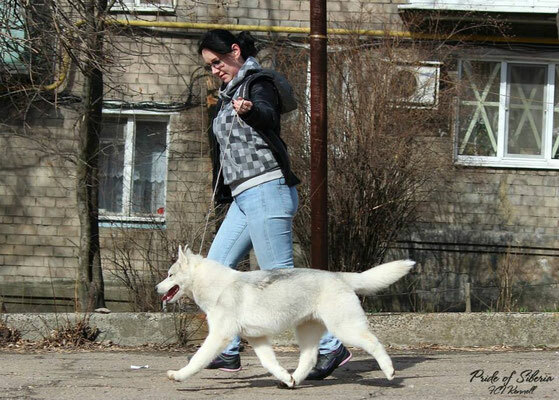 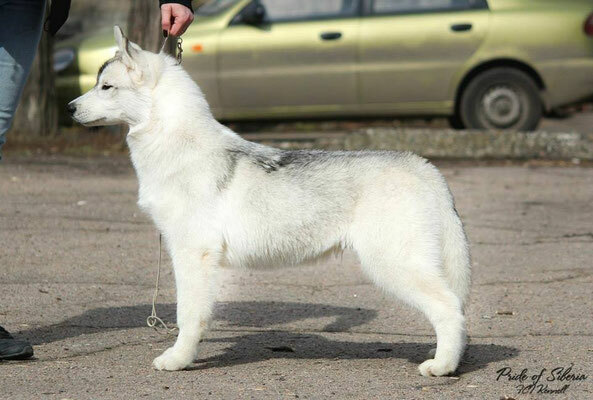 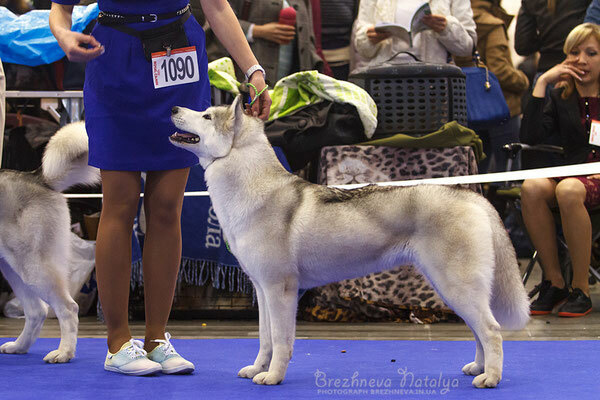 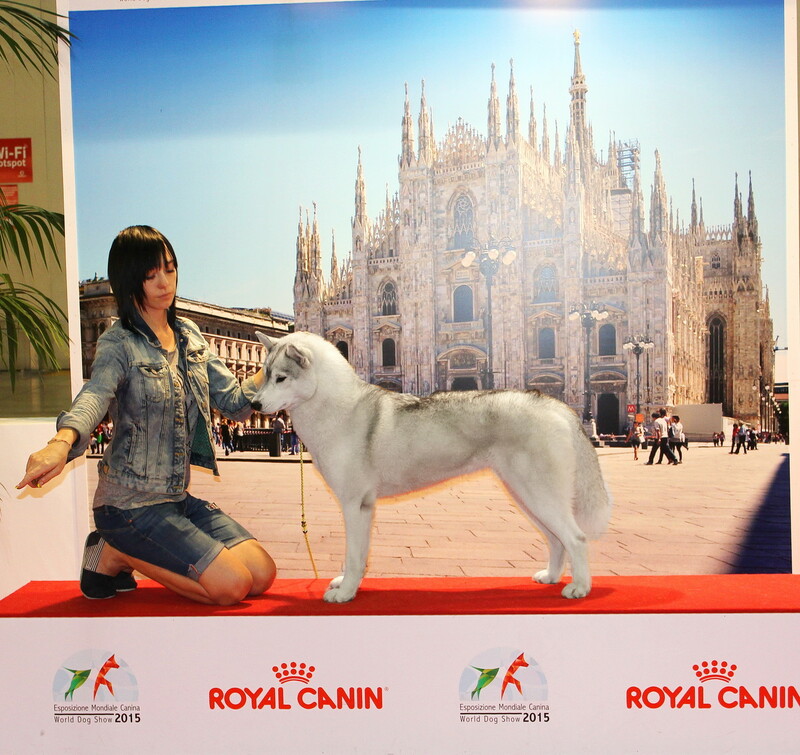 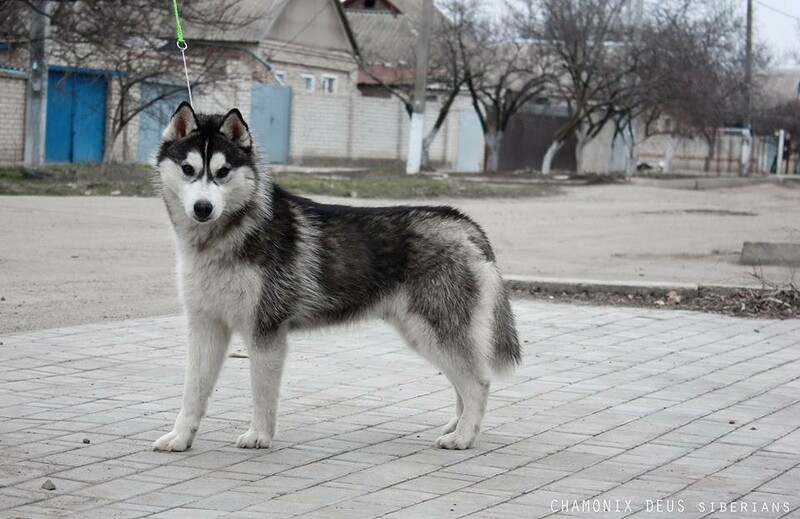 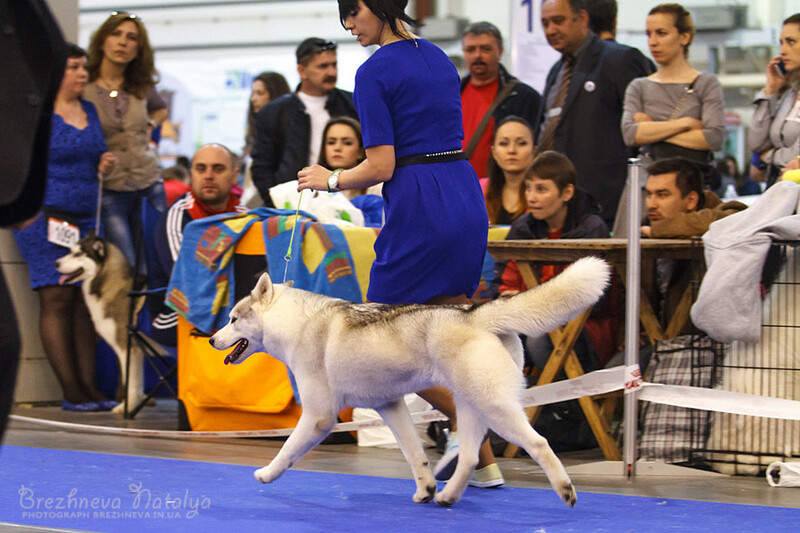 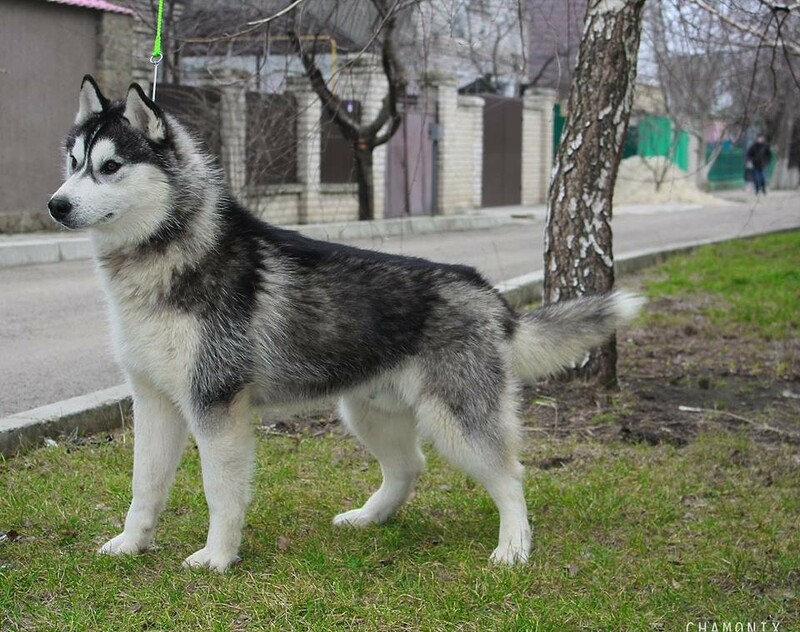 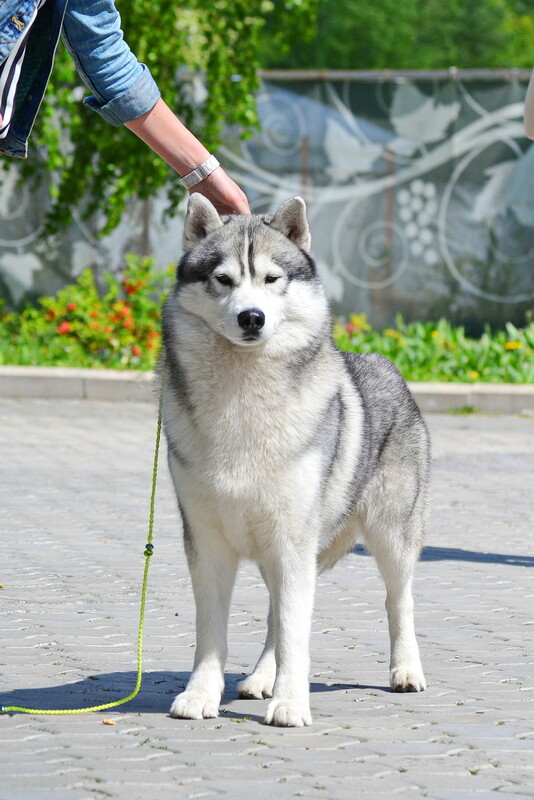 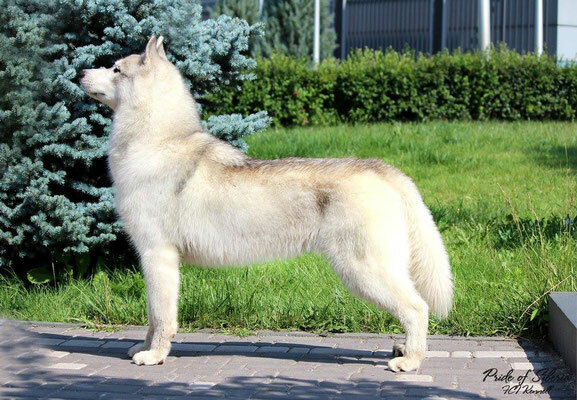 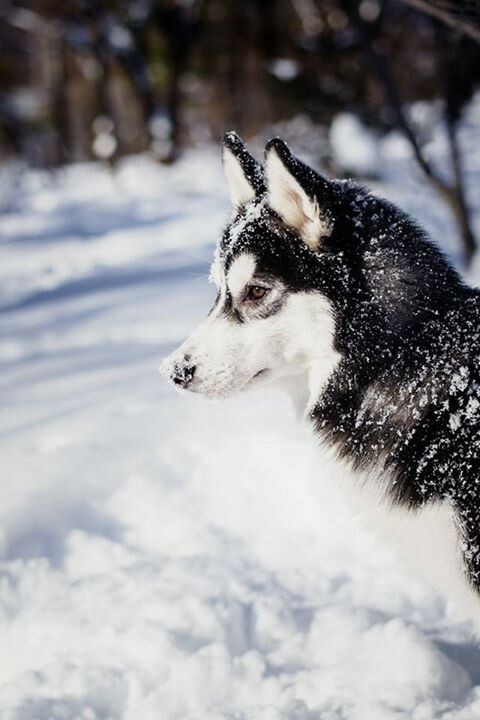 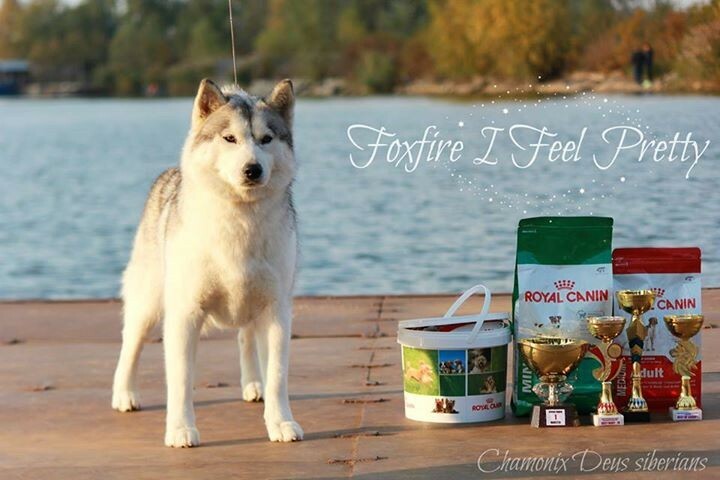 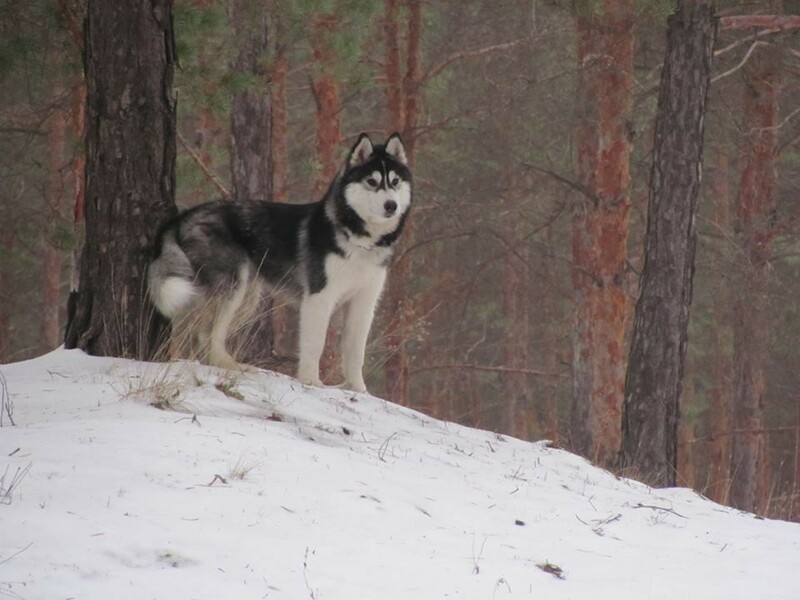 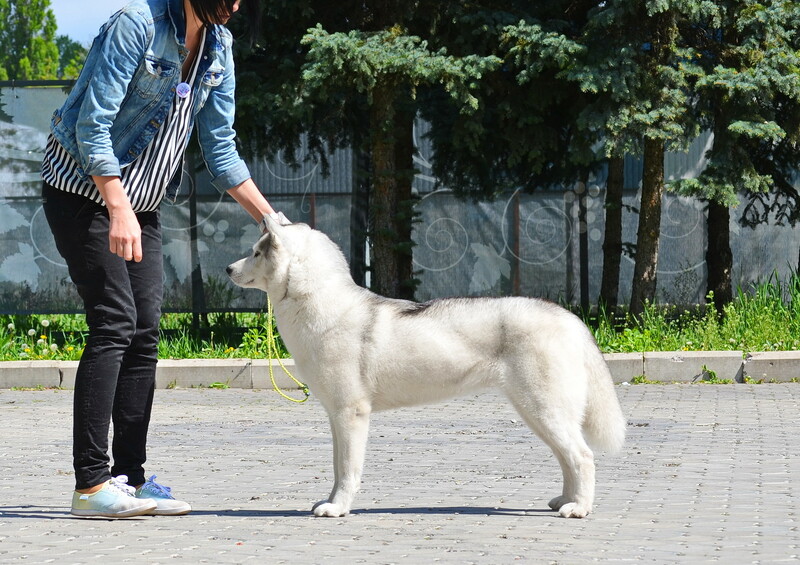 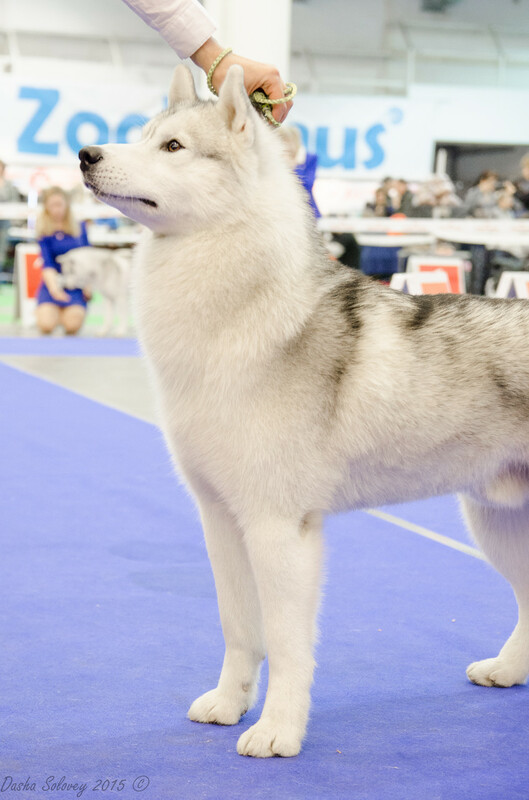 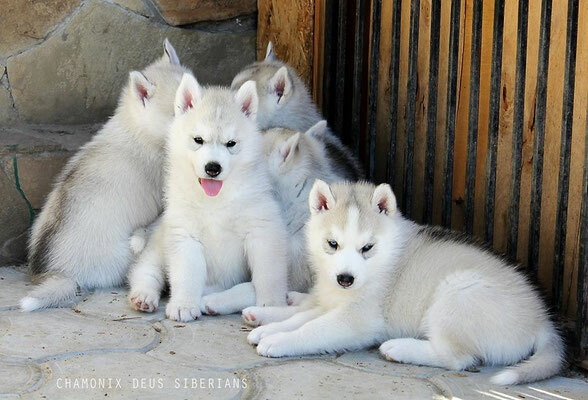 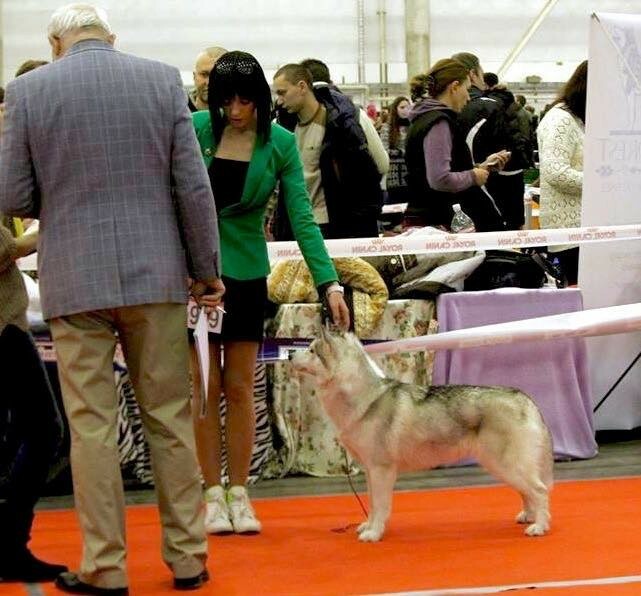 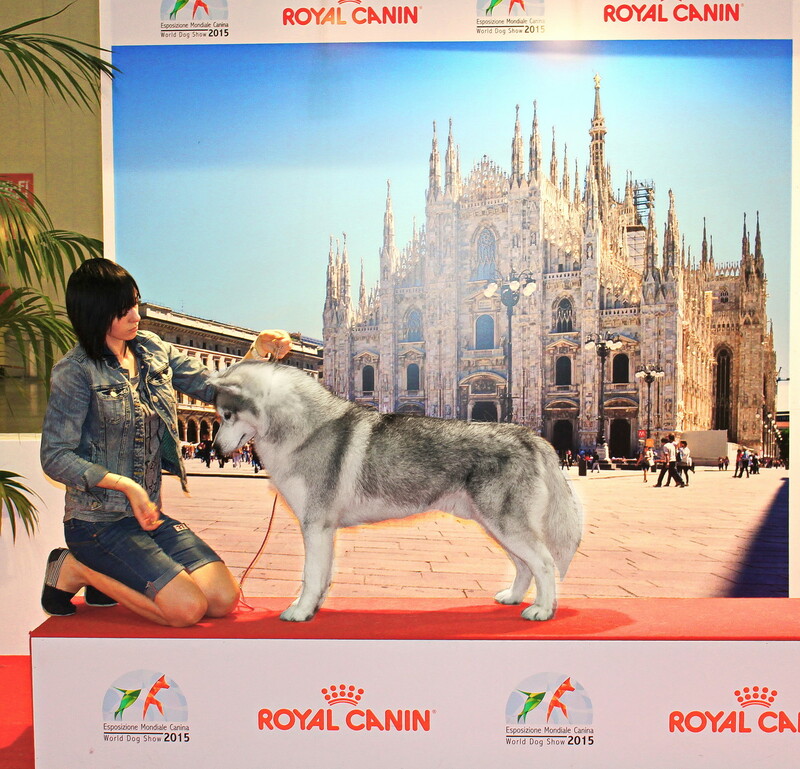 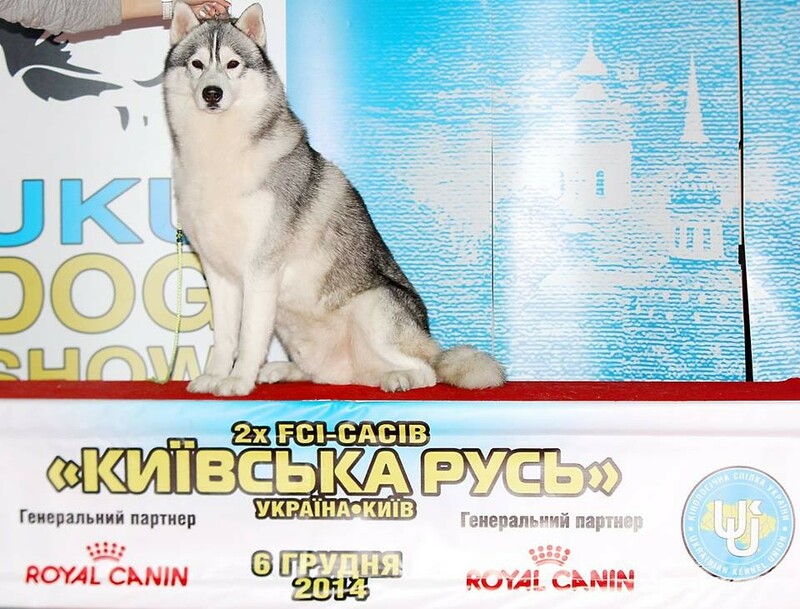 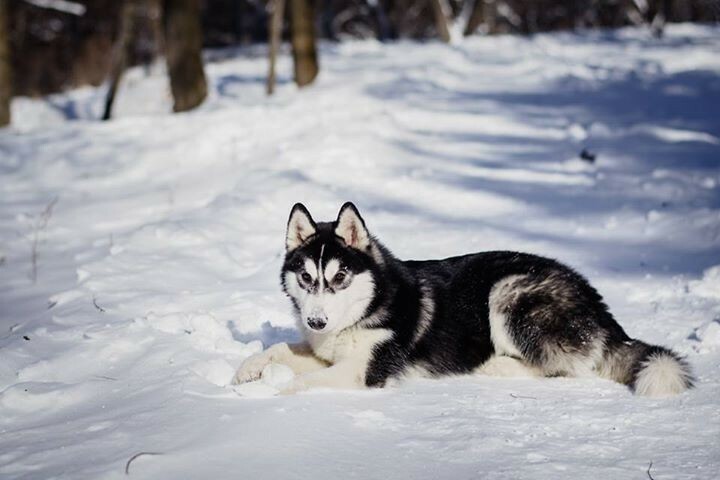 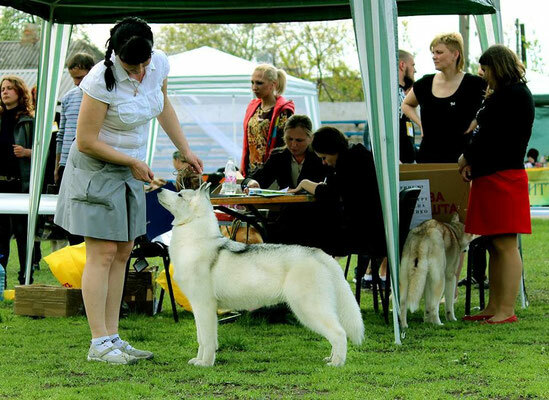 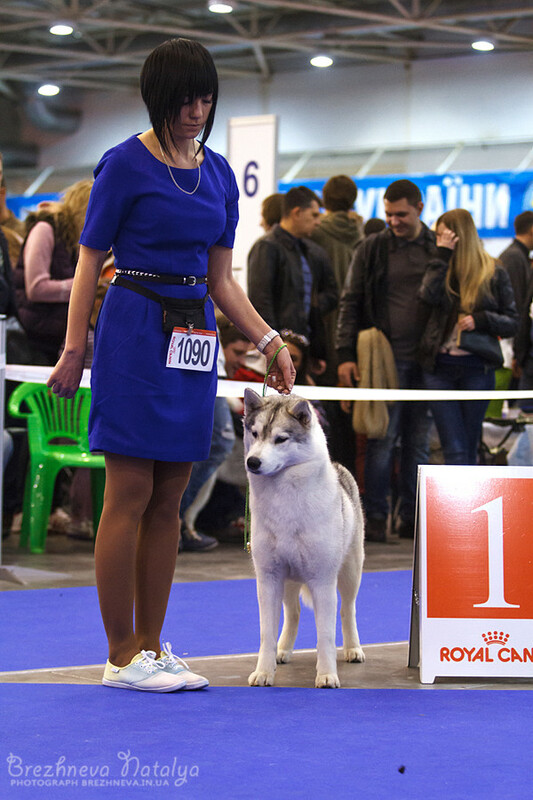 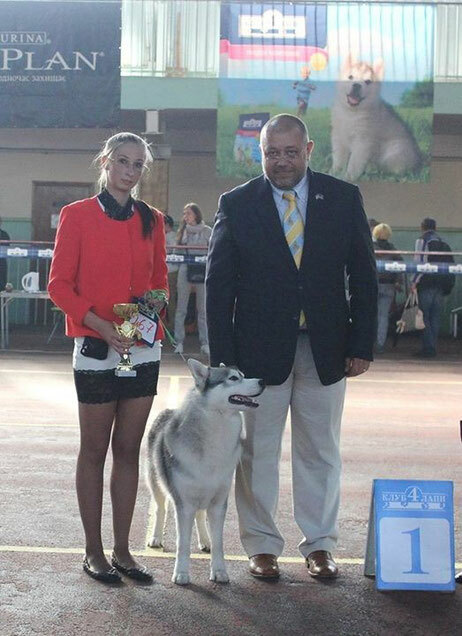 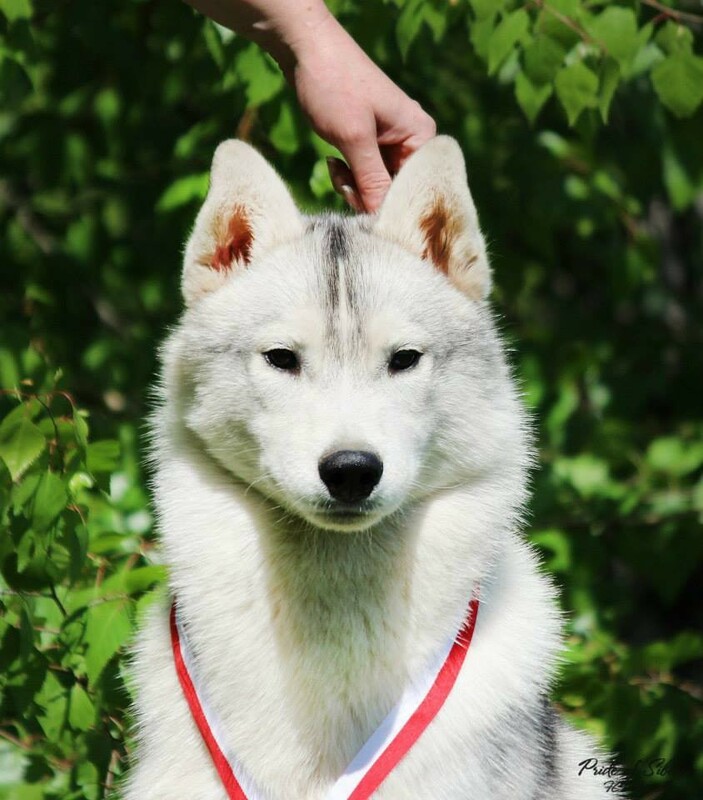 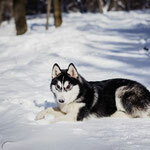 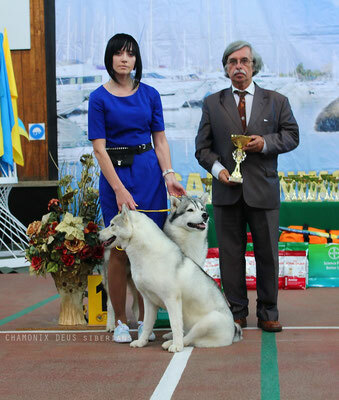 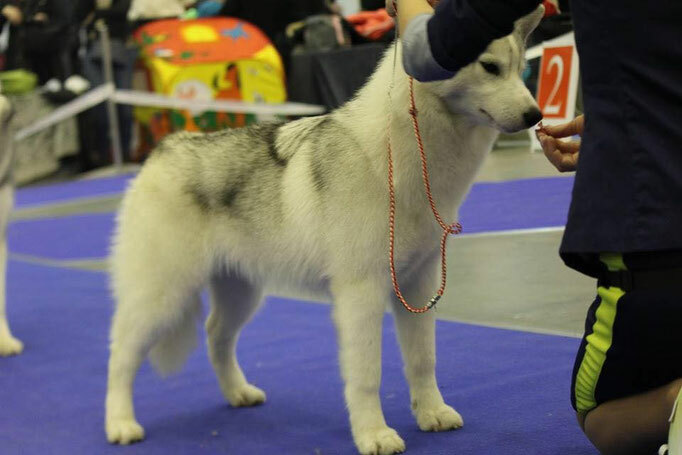 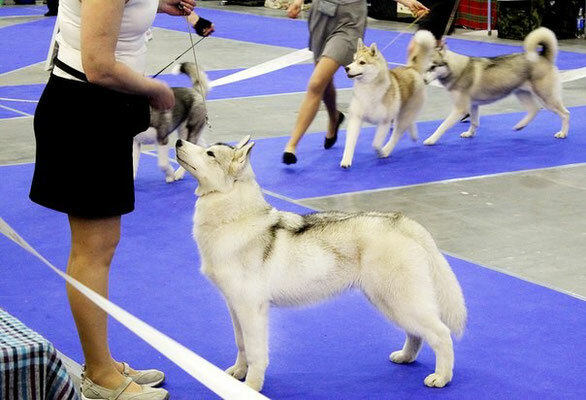 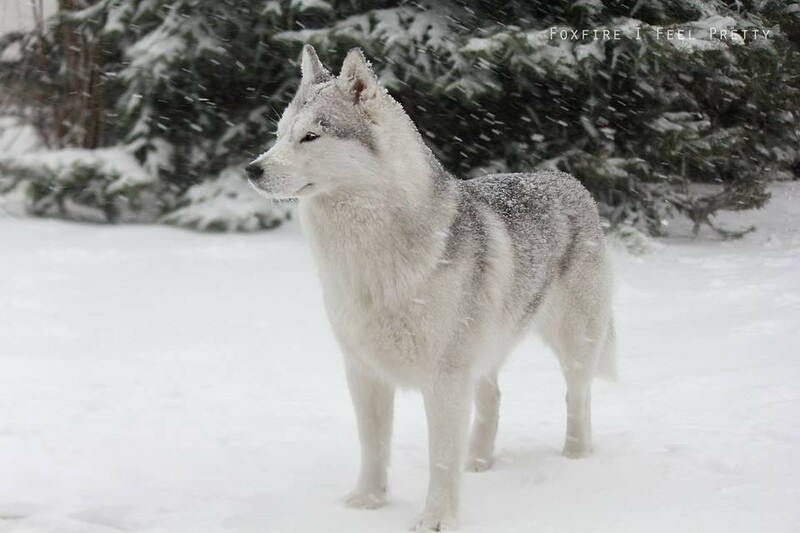 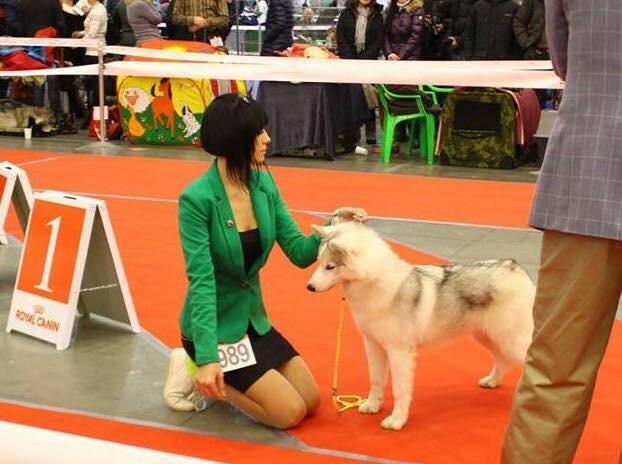 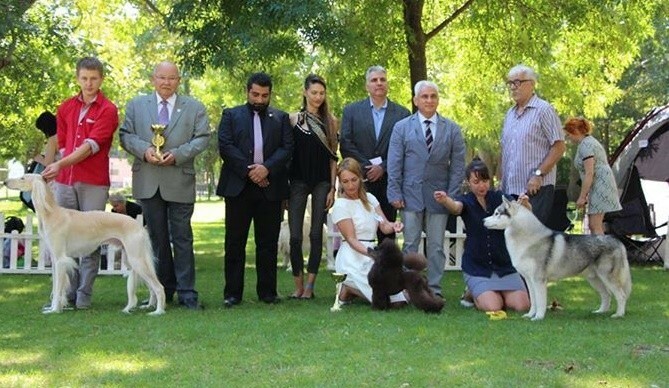 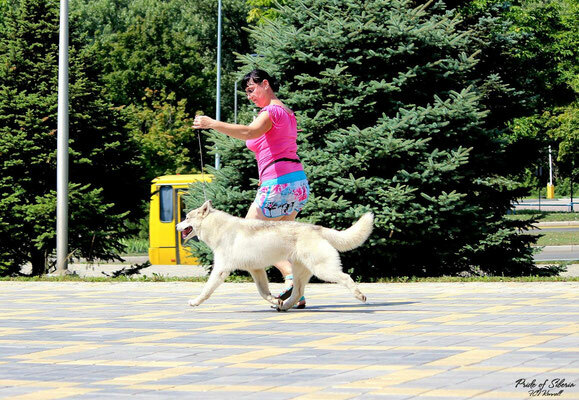 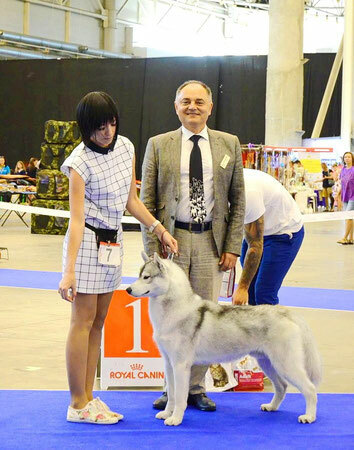 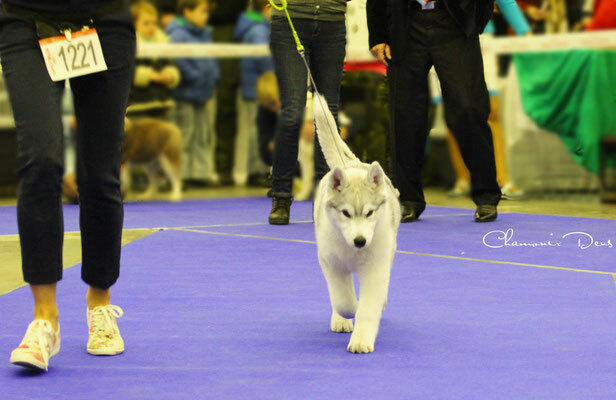 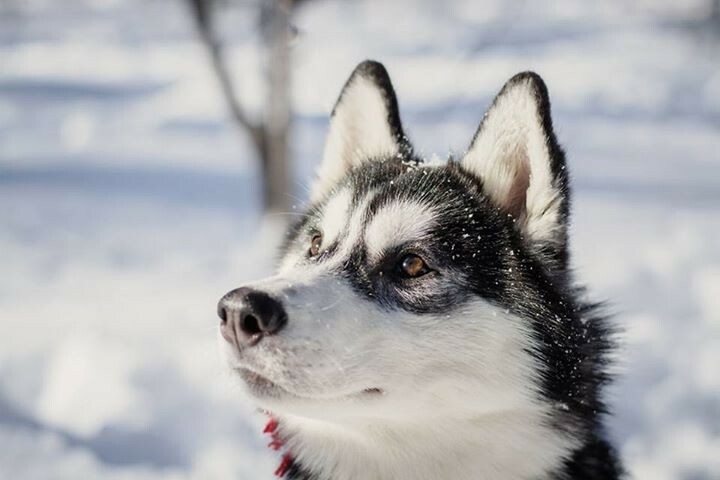 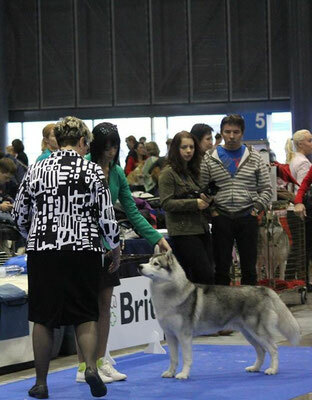 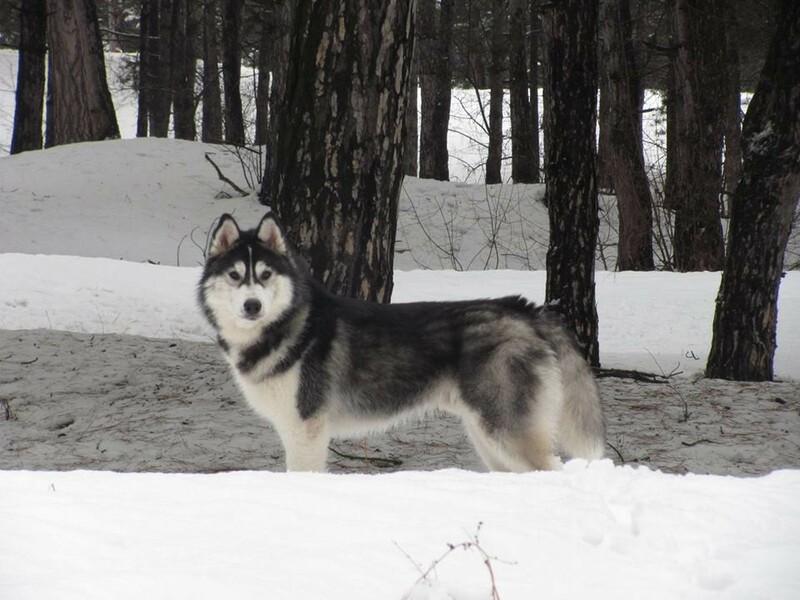 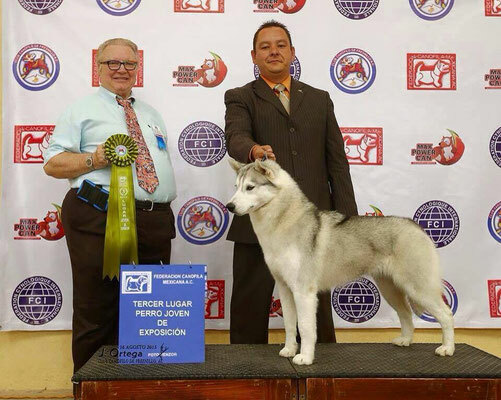 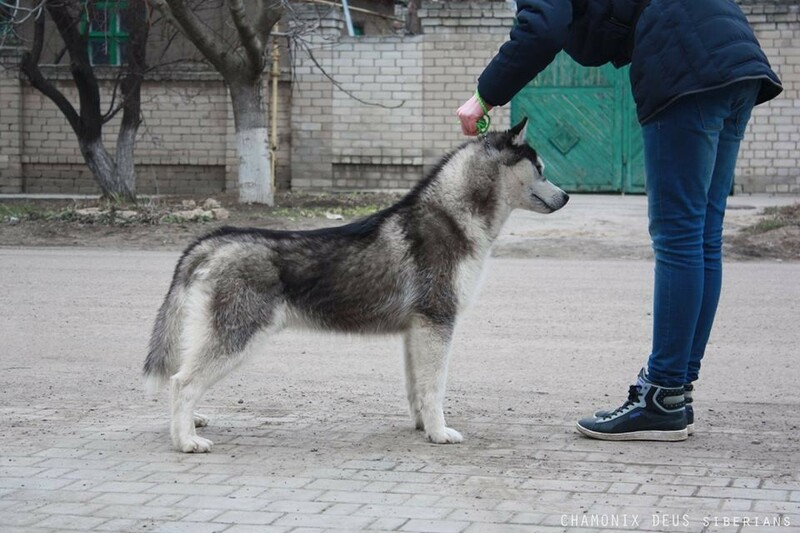 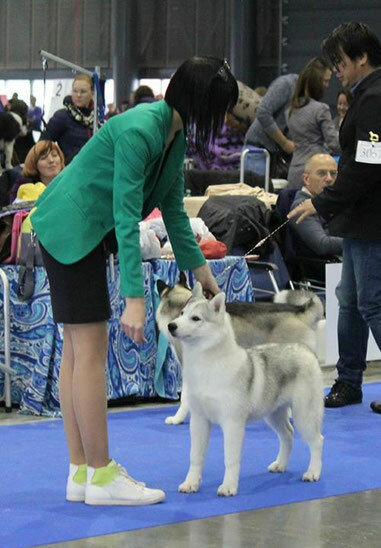 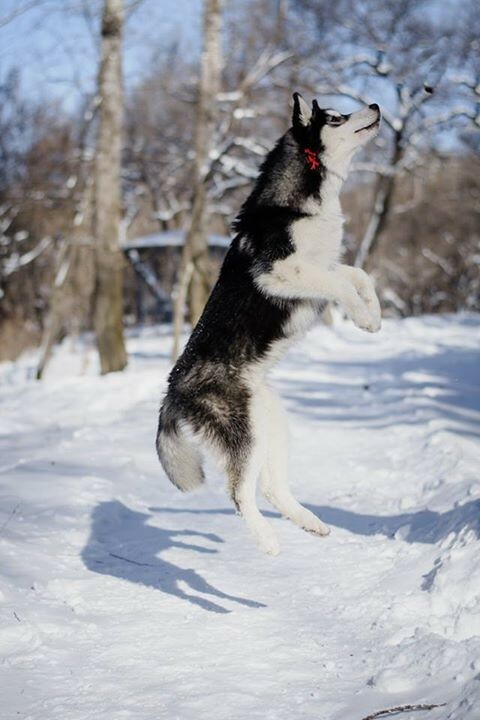 FCI-CACIB "Kievskaya Rus - 2015"
05.12.2015 Kiev, Ukraine FCI-CACIB "Kievskaya Rus - 2015"
CHAMONIX DEUS ALIAS SPECIAL ONE - Exc.1, JCAC, Best Male Junior, BOBJ, BEST IN SHOW JUNIOR-1 !!!!! 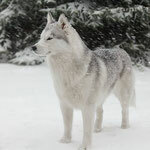 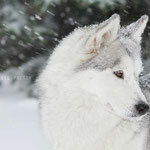 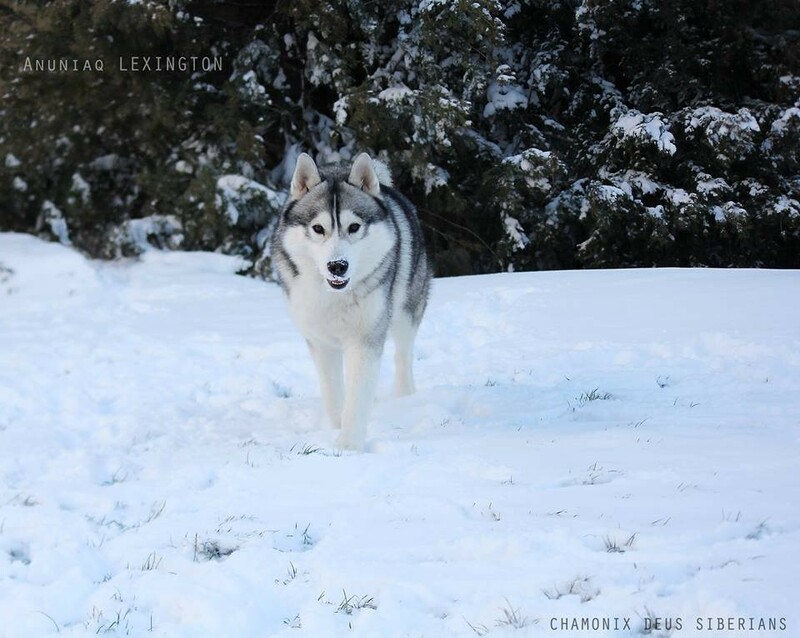 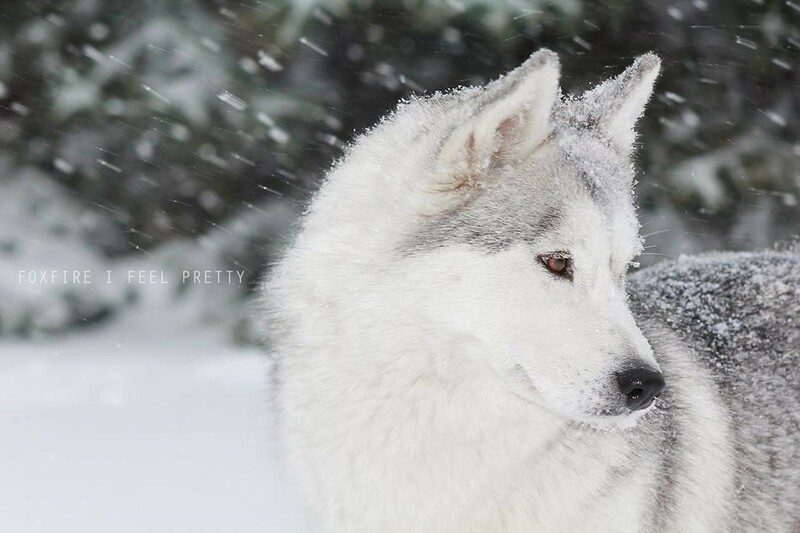 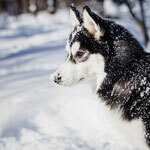 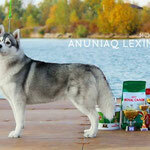 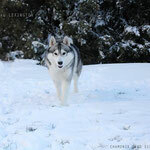 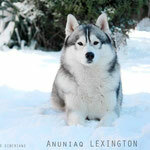 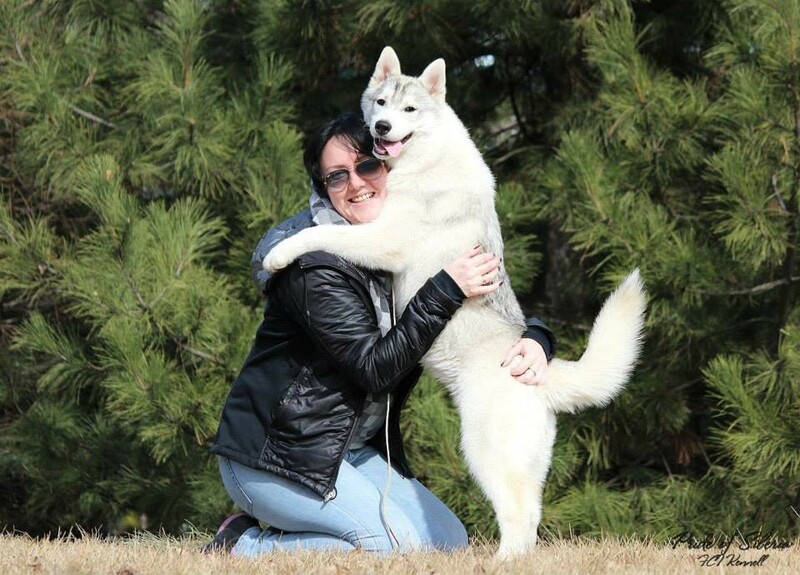 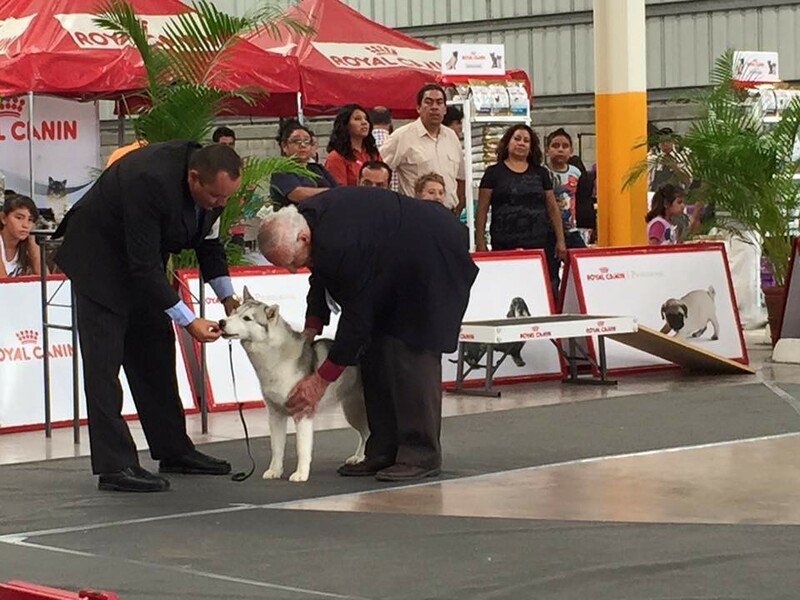 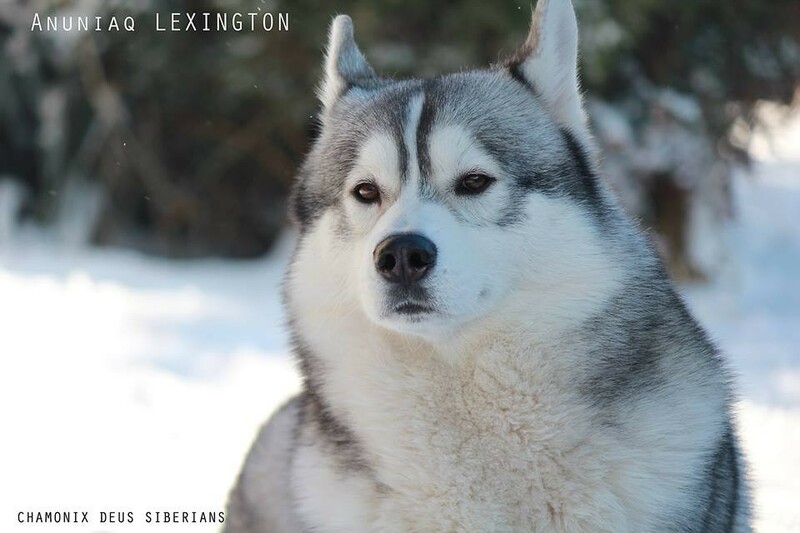 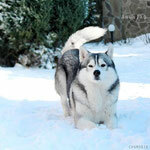 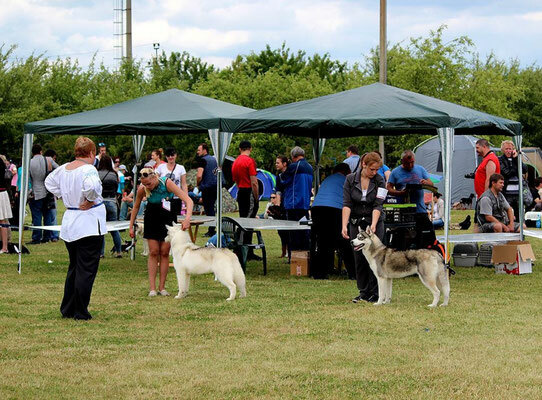 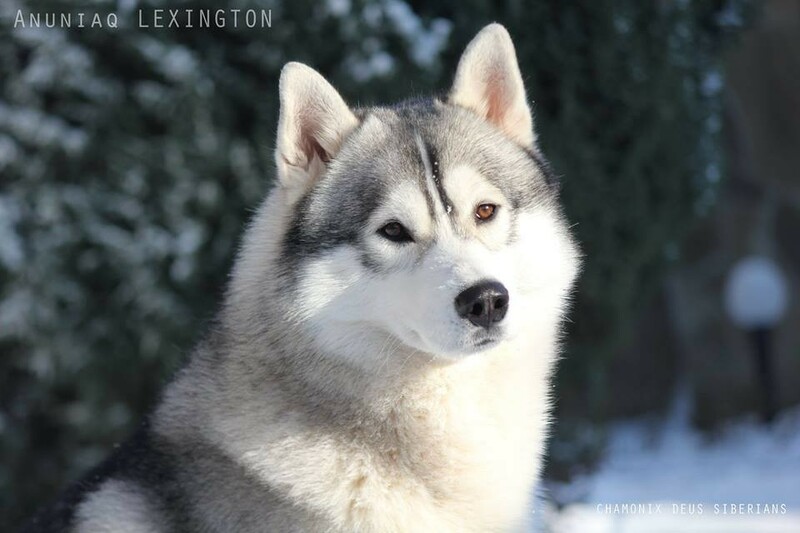 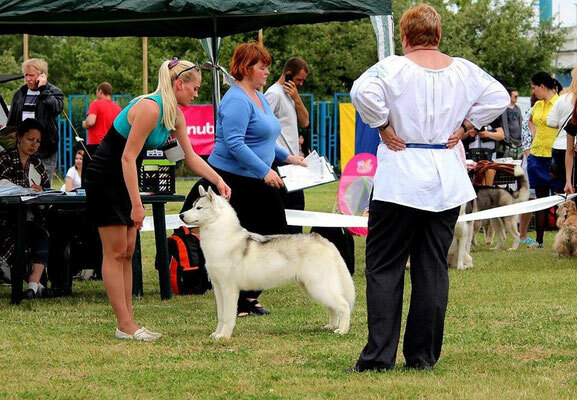 Anuniaq Lexington - BEST IN SHOW!!! 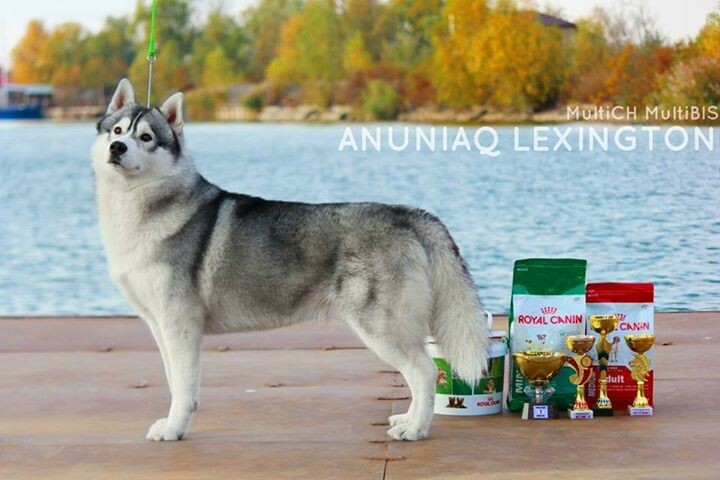 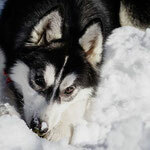 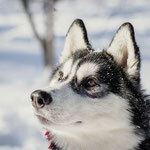 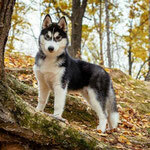 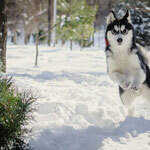 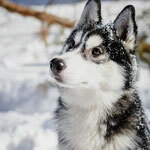 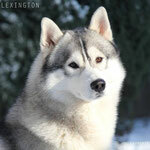 ANUNIAQ LEXINGTON - Exc.1, CAC, CW, Best Male, BOB, BOG-1, BEST IN SHOW-1 !!!! 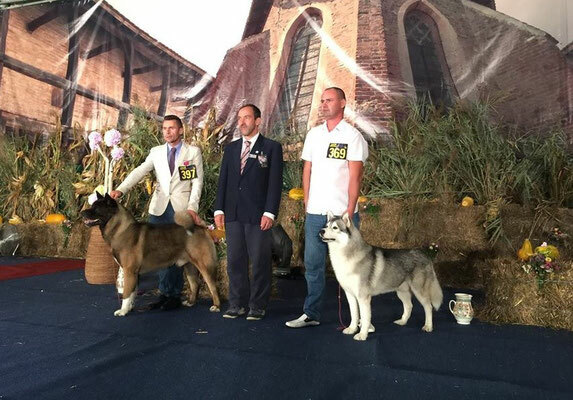 Many thanks to the honorable judges for high score !!! 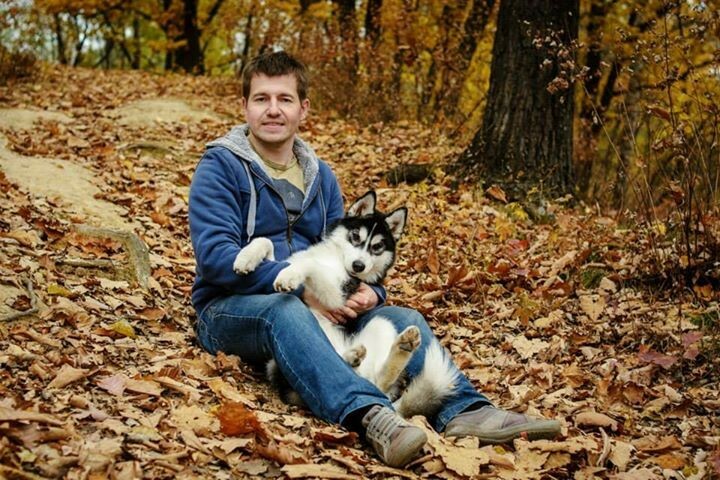 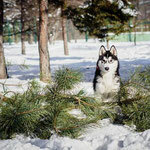 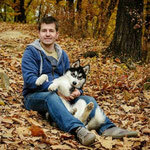 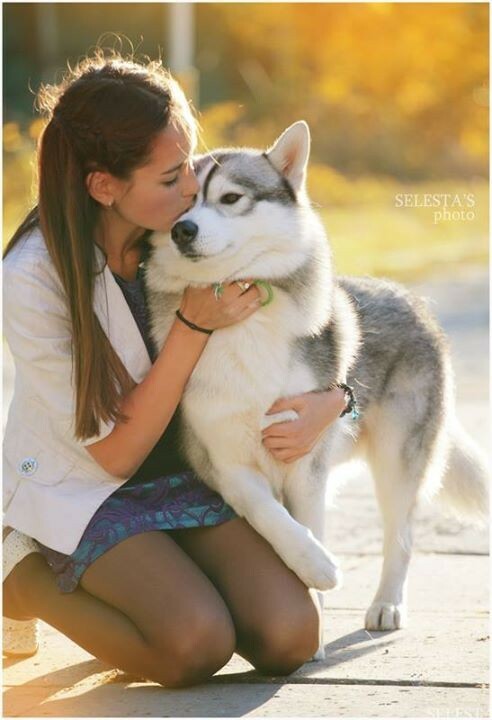 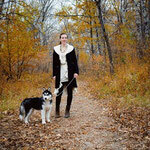 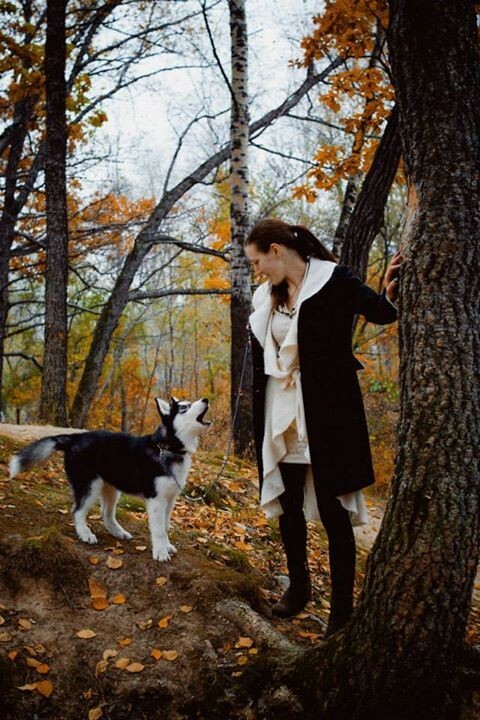 Big thanks for great work to Екатерина Коломиец and for help to Alexander Shmyglyuk!!! 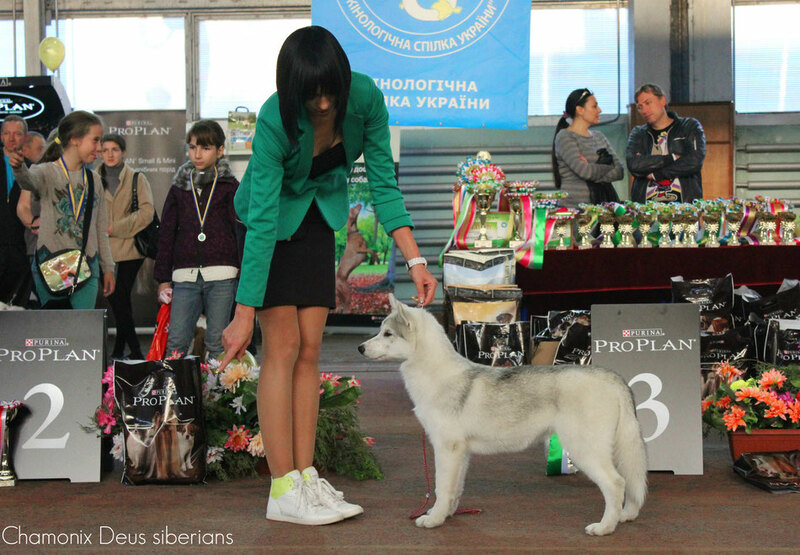 P.s.The title of Champion of Bulgaria was already obtained a year ago. 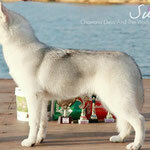 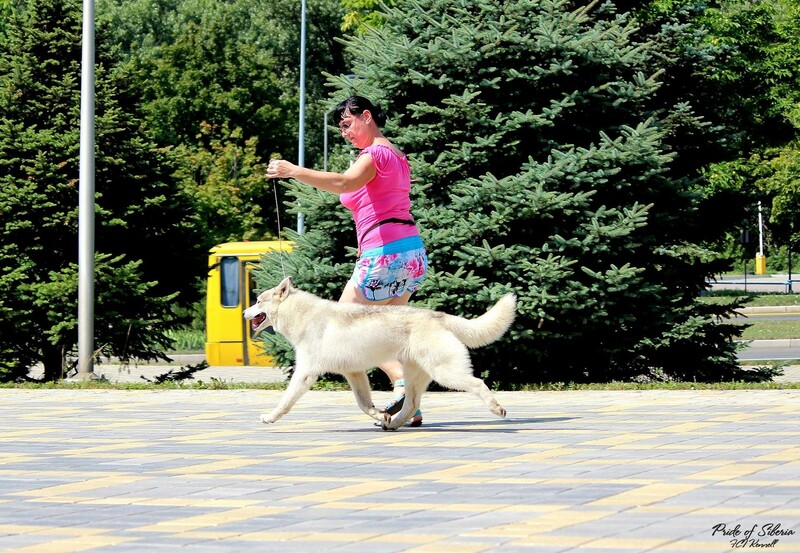 P.s.The title of Champion of Romania was already obtained a year ago. 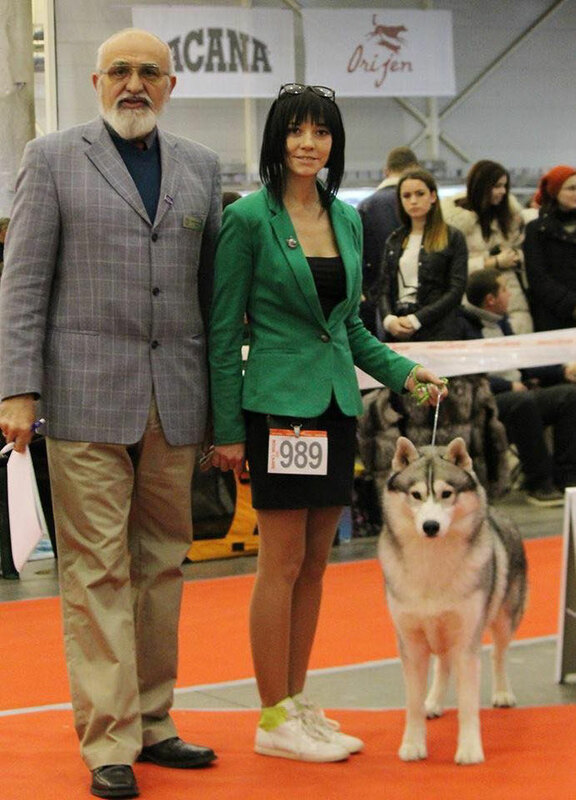 Big thanks for excellent presentation of our Lex to Alexander Shmyglyuk and for help Екатерина Коломиец!!! 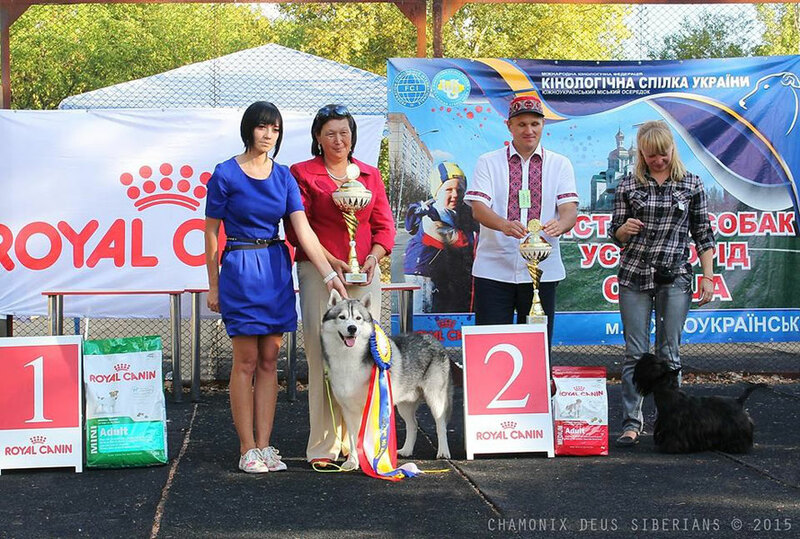 3хCACIB KIEV, 28-30/08/2015. 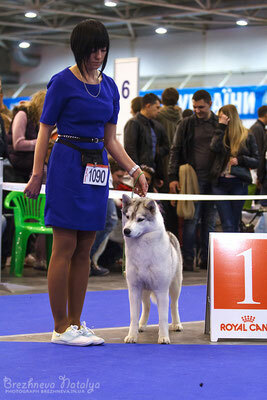 Main International Show in Ukraine. 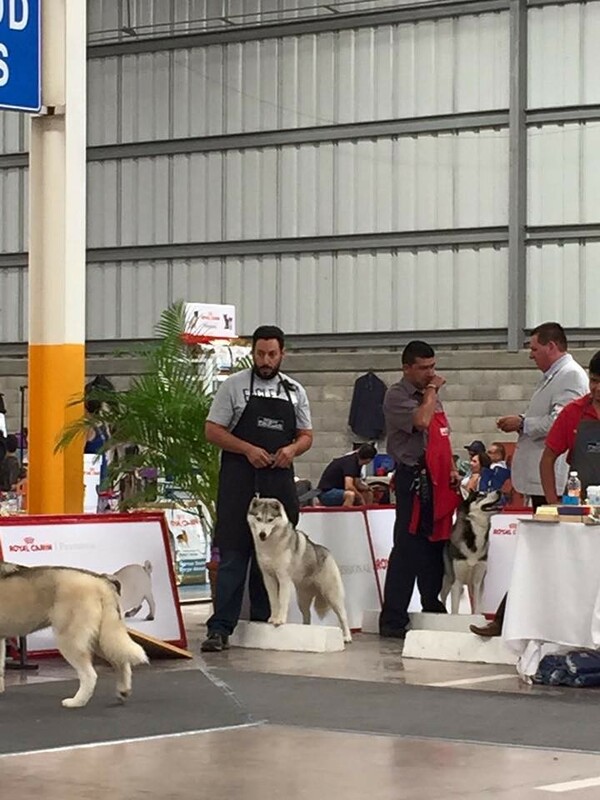 And got 4 points to Mexicano Champion!!! 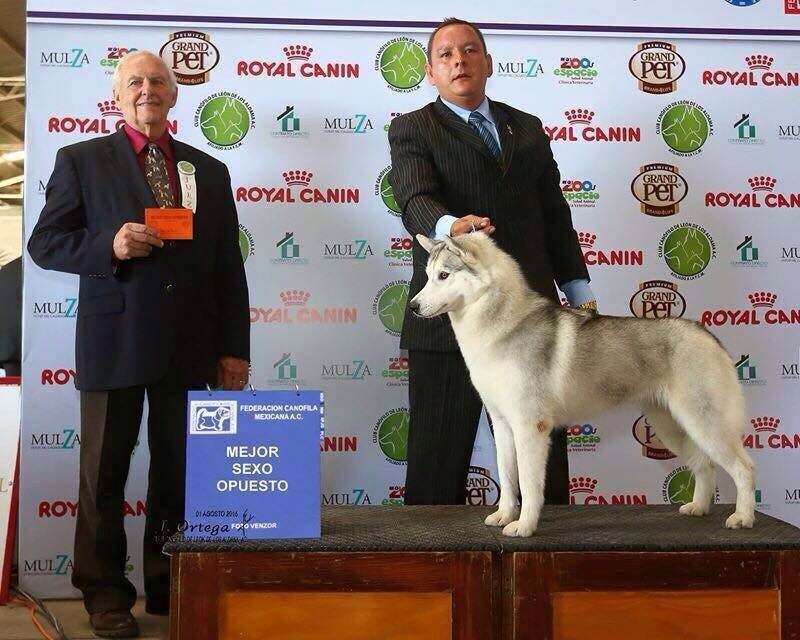 Big thanks to Paola Vargas Lugo for you care and Tony Olivera for Luna's presentation! 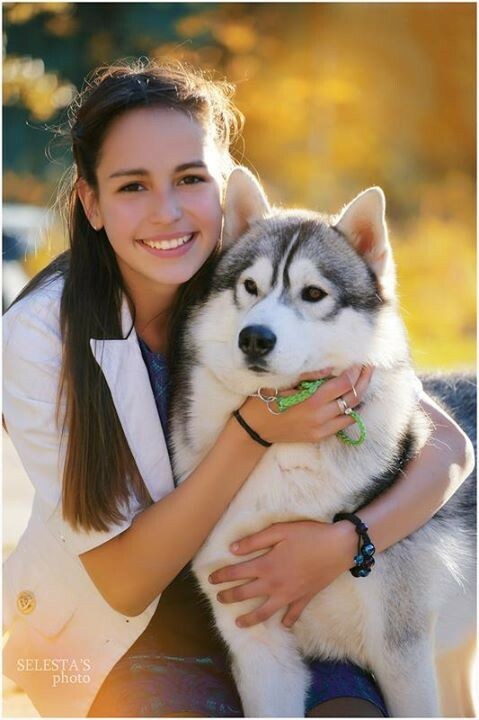 We are so happy and so proud of this young girl! 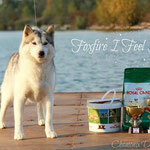 And first point on the way to Mexicano Champion! 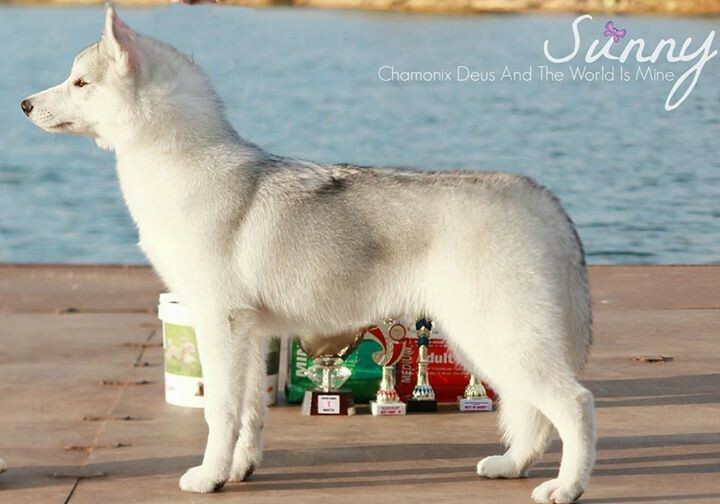 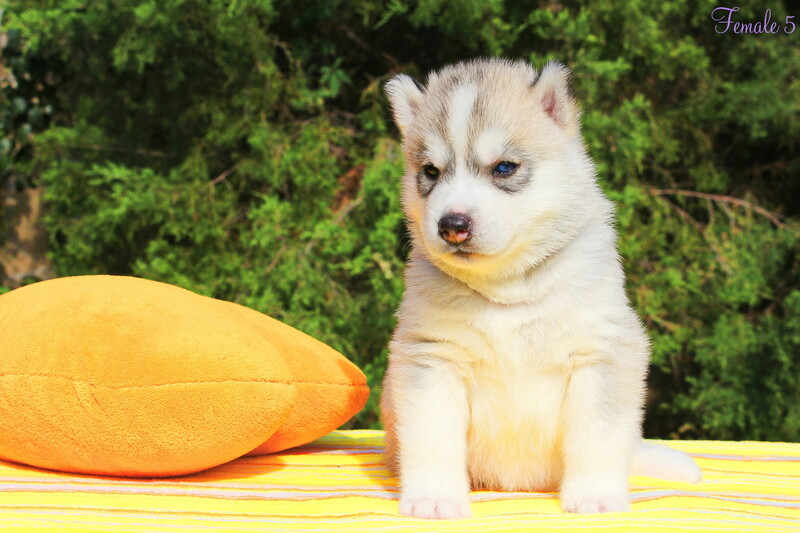 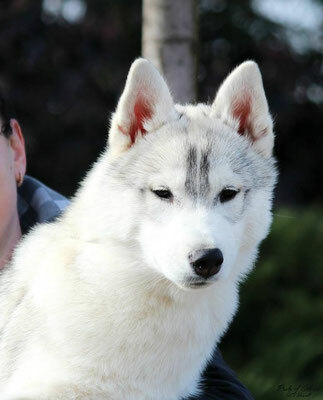 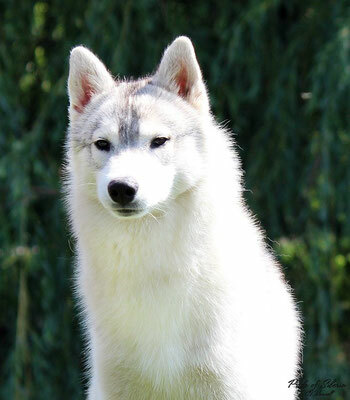 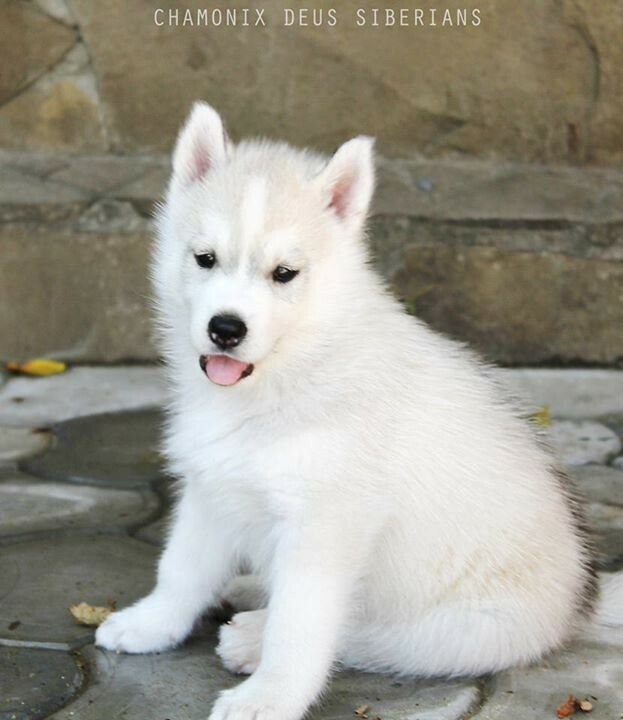 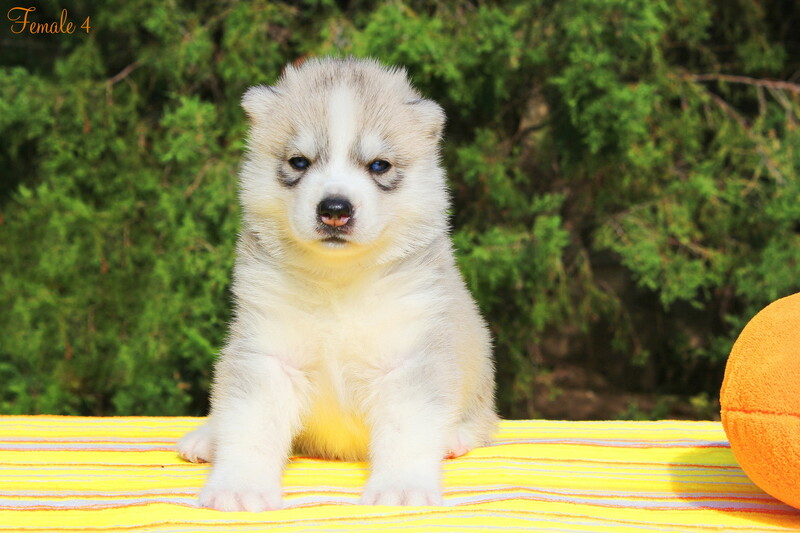 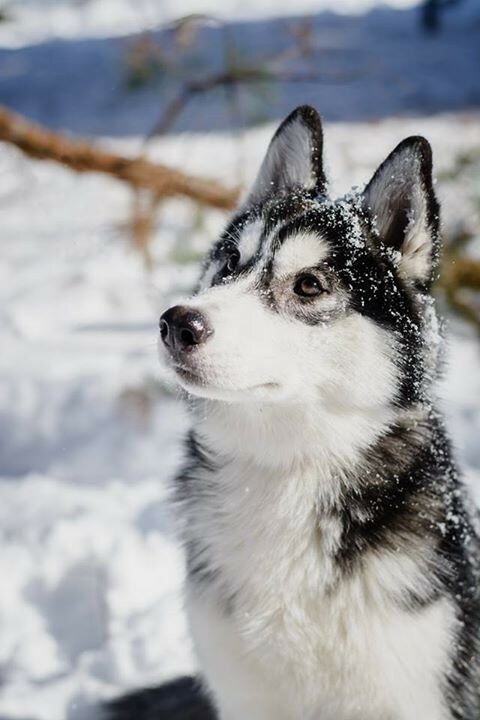 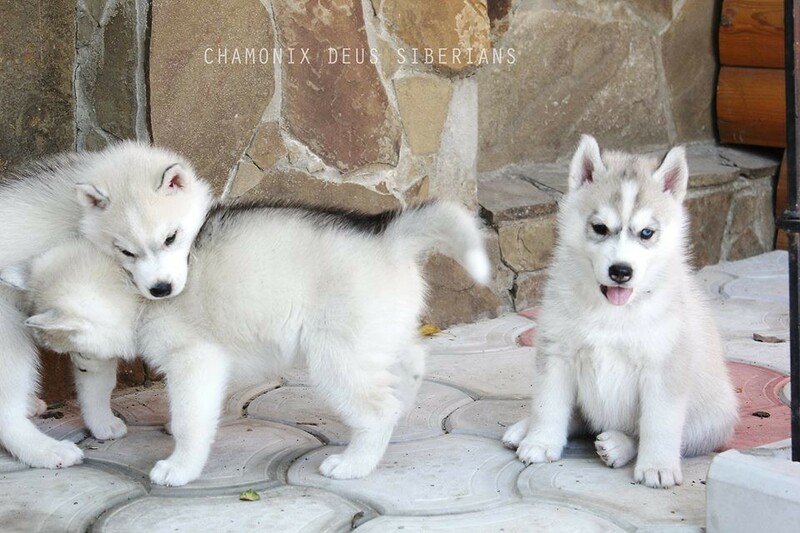 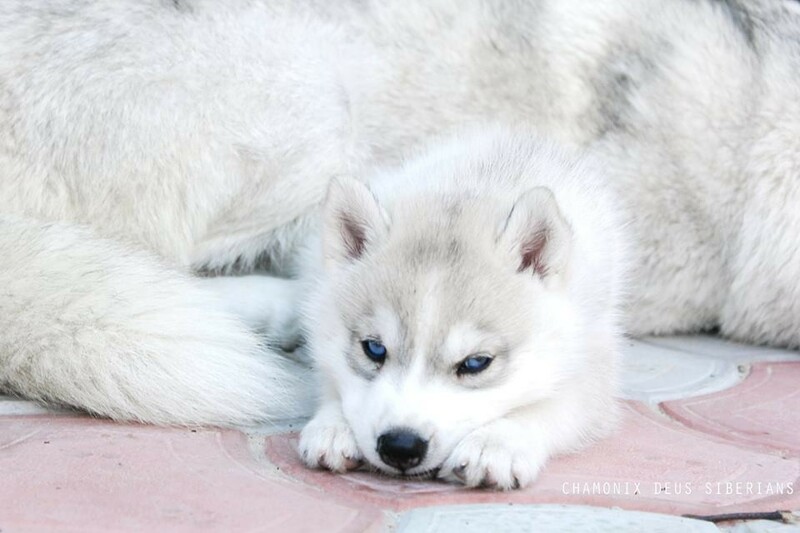 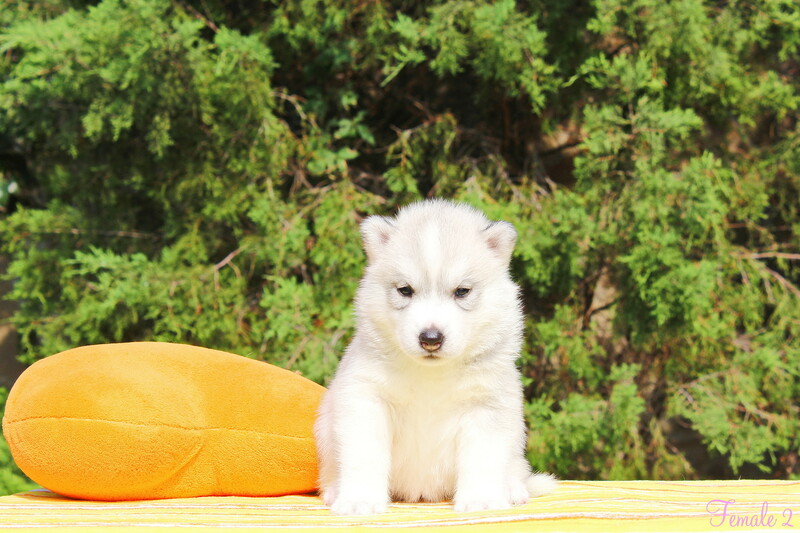 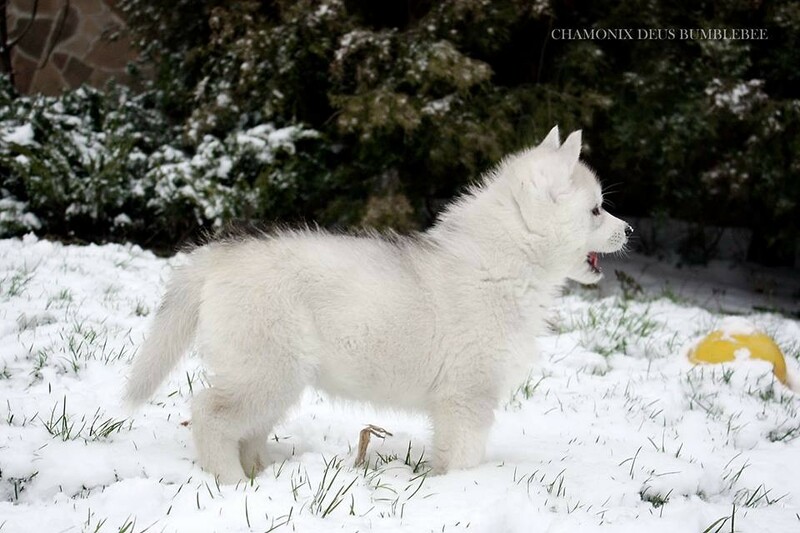 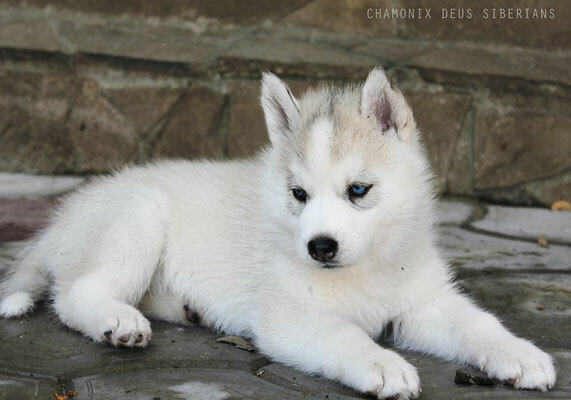 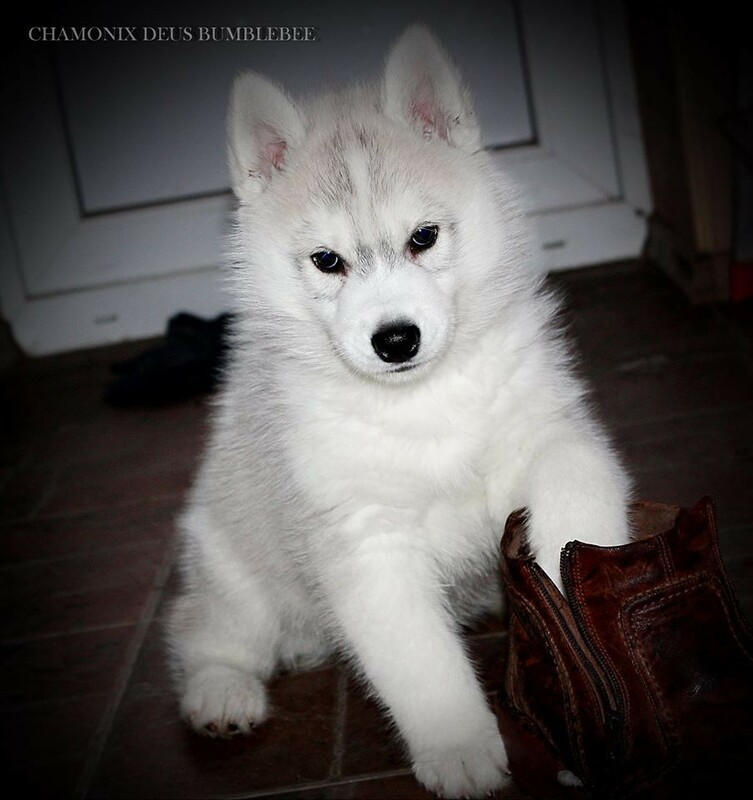 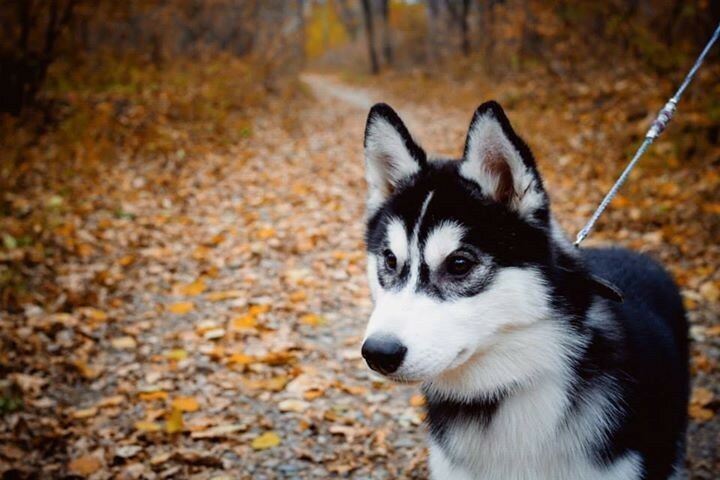 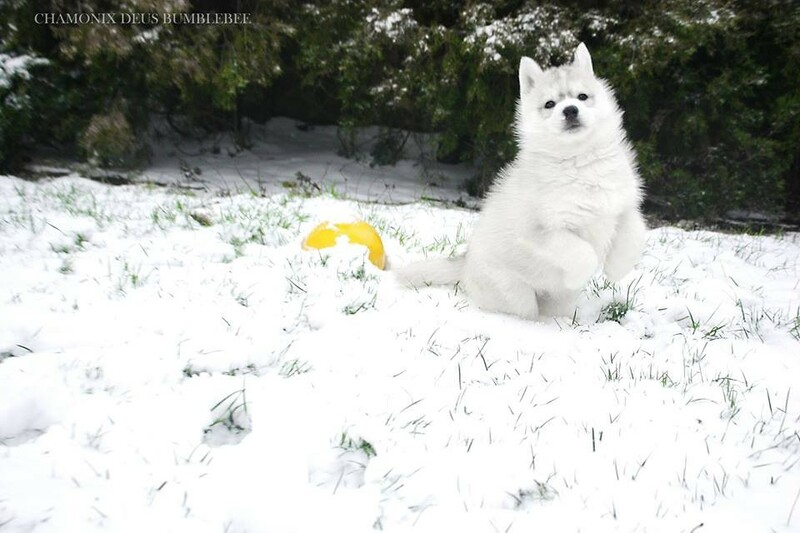 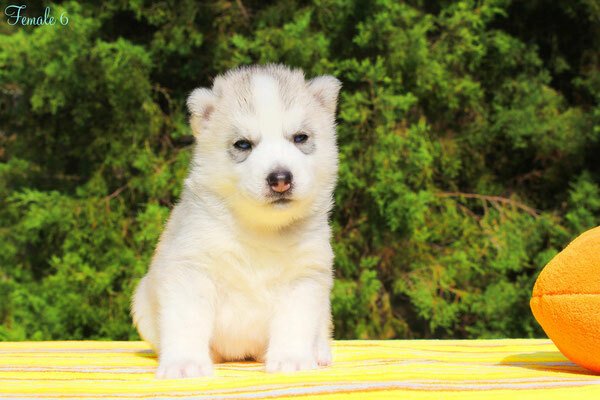 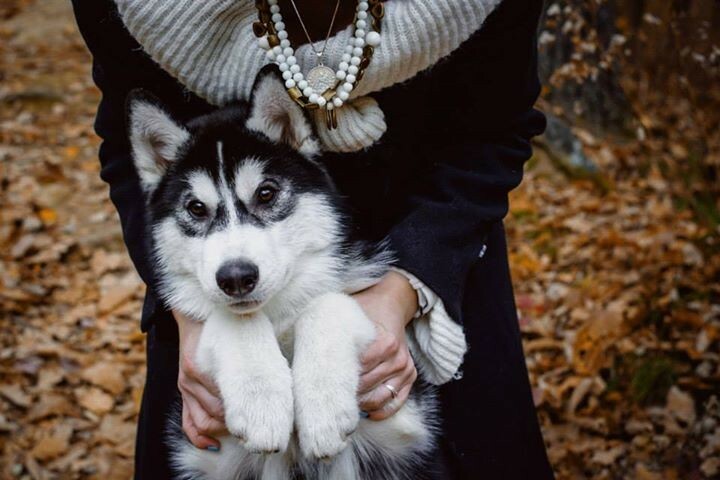 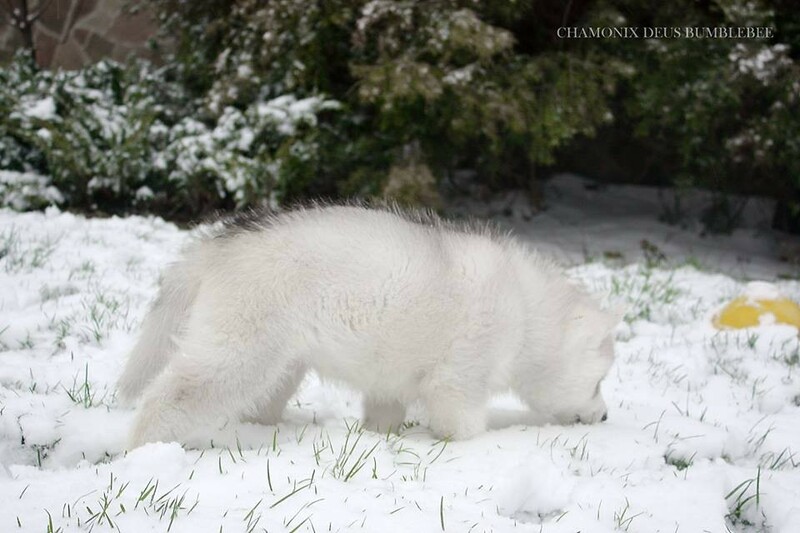 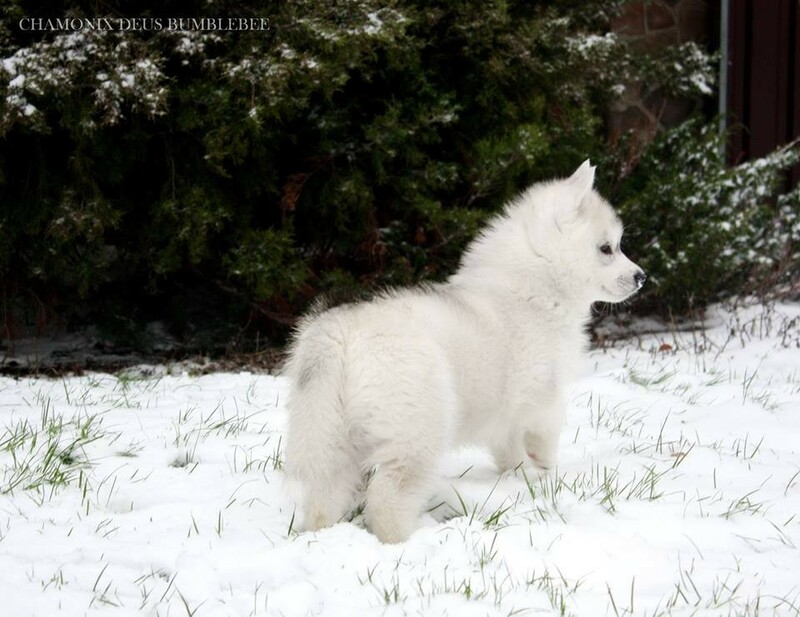 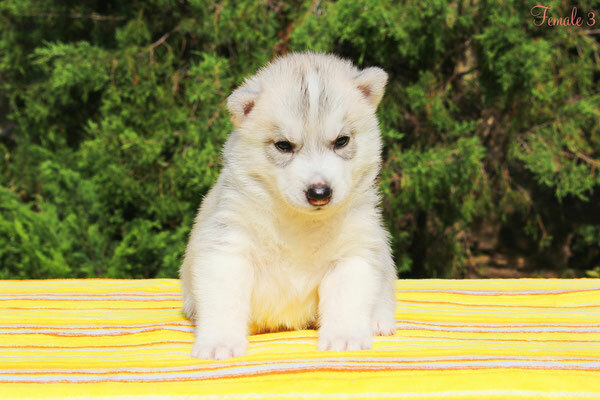 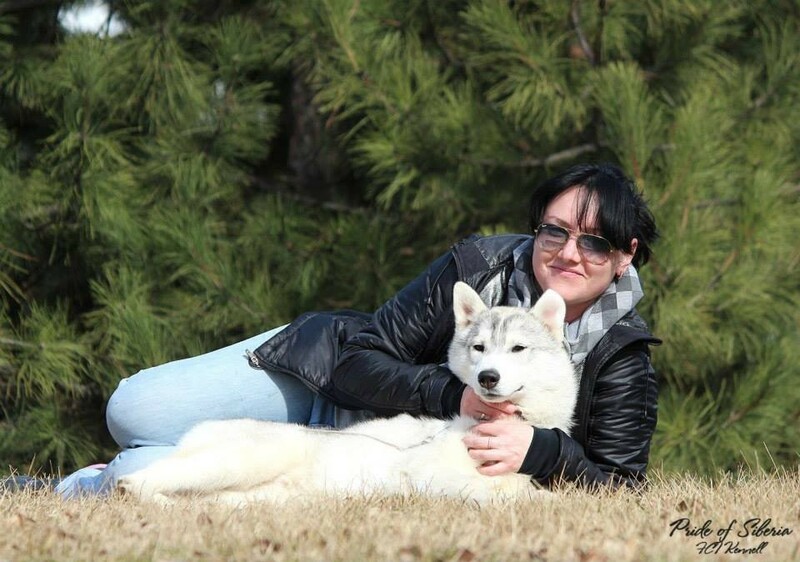 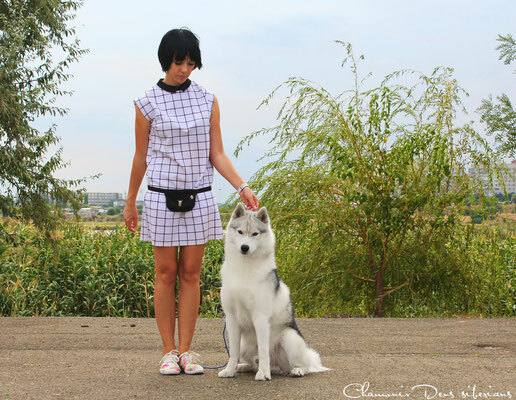 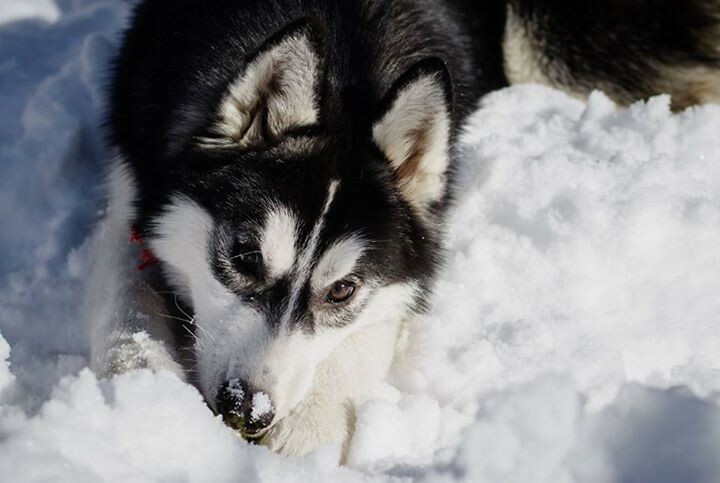 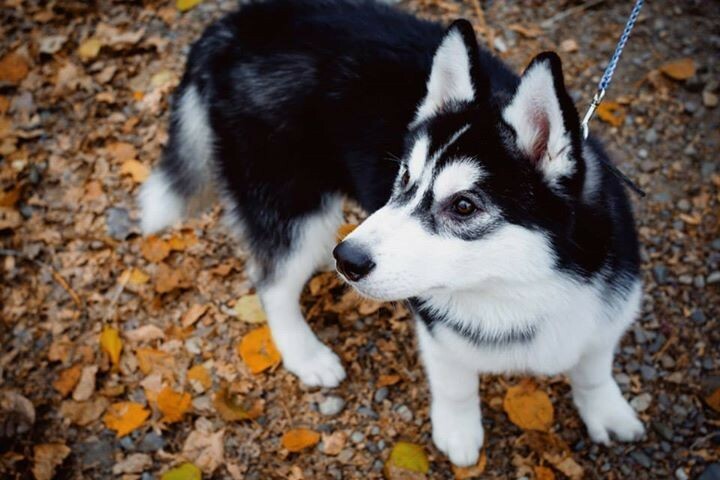 The results of our boy CHAMONIX DEUS BUMBLEBEE aka Bee (ANUNIAQ LEXINGTON x CHATTY EYES CHINESE GIRL) vp-1, Best Puppy Male!!! 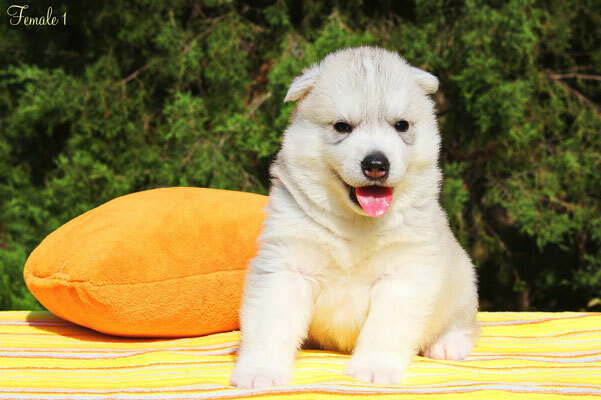 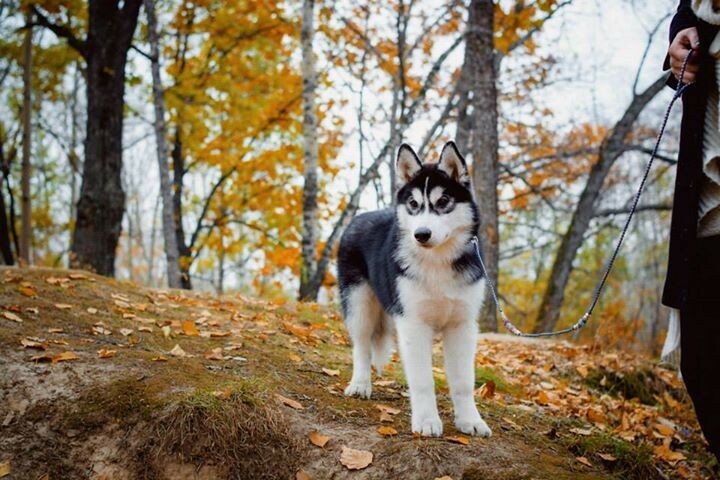 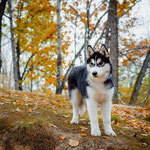 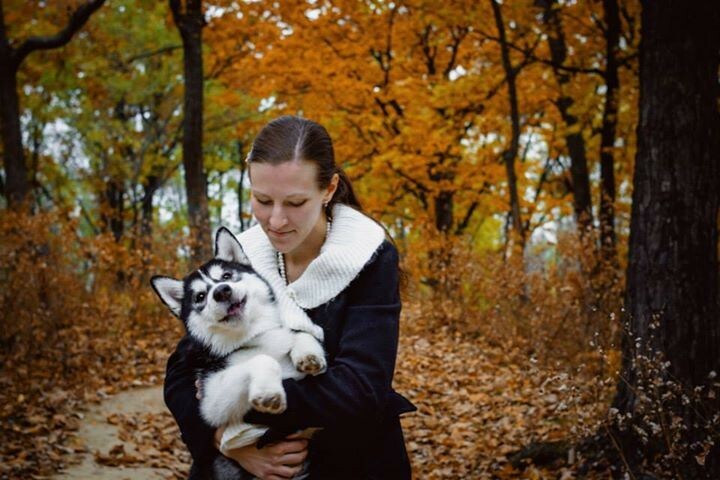 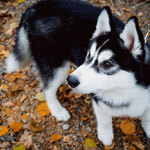 BOB Puppy!!! 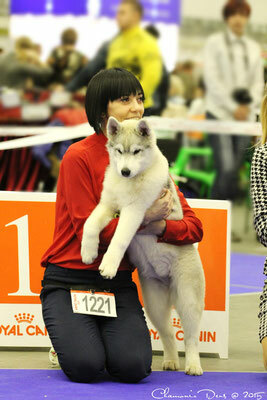 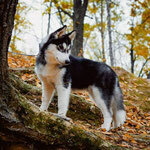 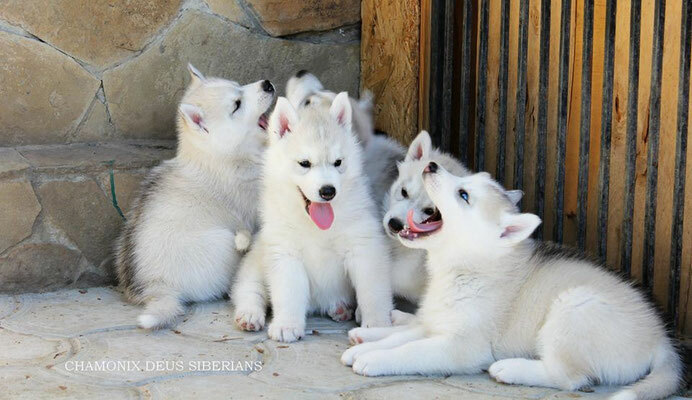 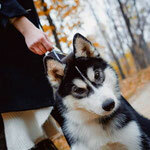 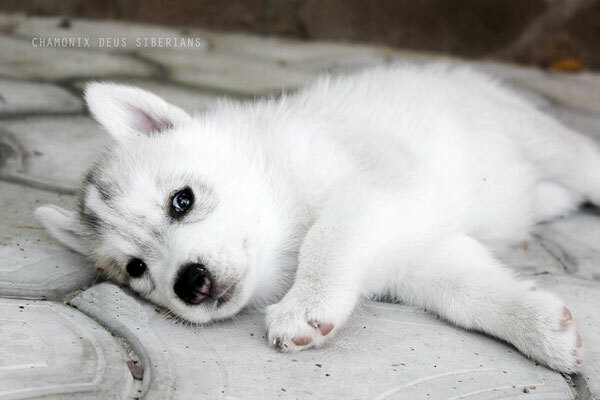 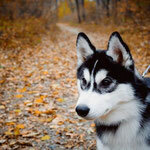 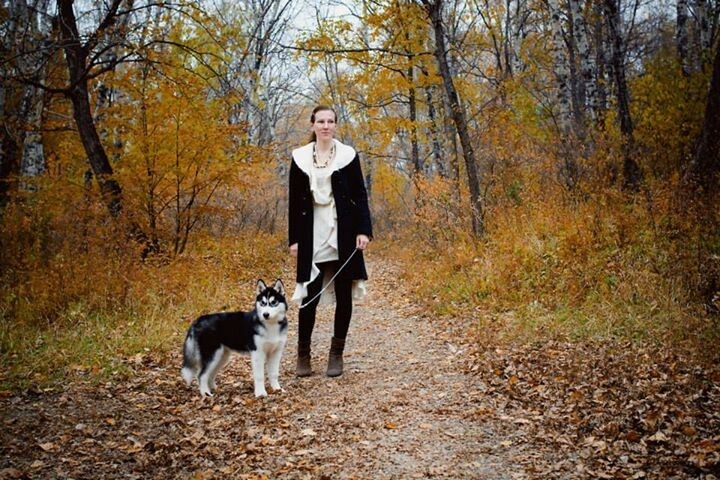 R.BIS Puppy!!!!! 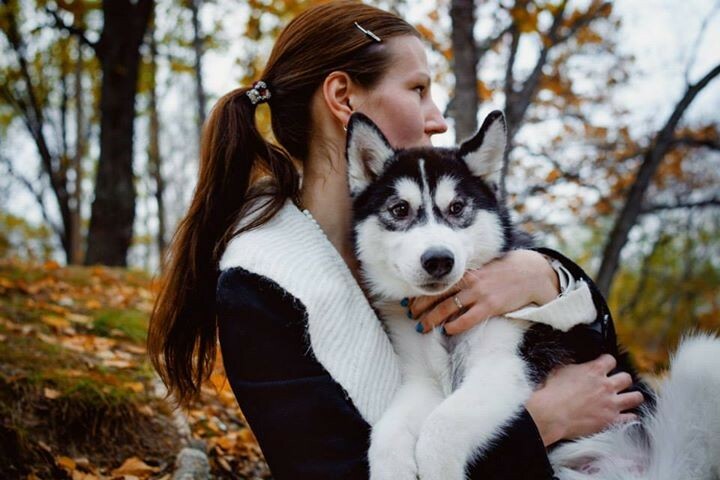 Лекс и Чина - Лучшая племенная пара выставки!!! 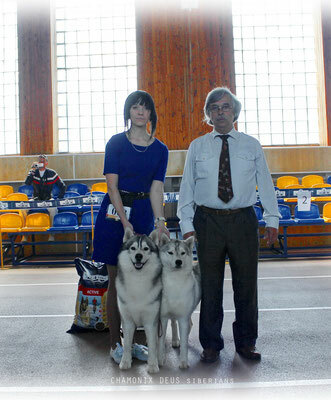 9.05.2015. 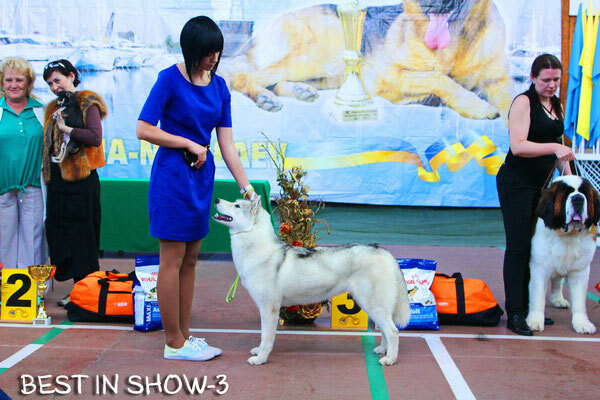 Show CAC-UА "Весна Краматорск"
CHAMONIX DEUS BUMBLEBEE aka Bee - БП-1, Лучший щенок кобель!!! 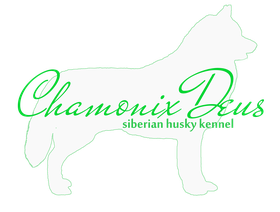 Chamonix Deus Bumblebee - БП-1, Лучший щенок кобель, Лучший щенок!!! 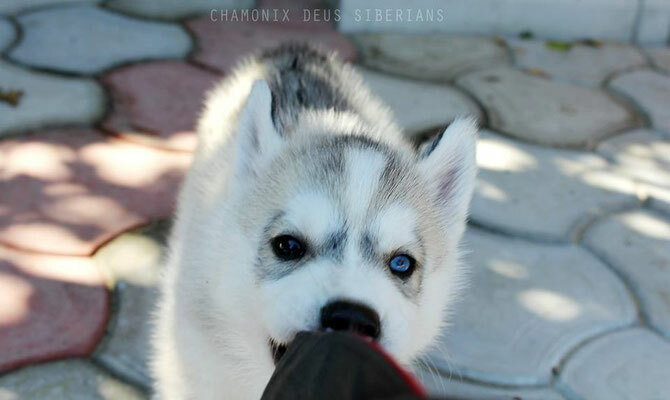 CHAMONIX DEUS BUMBLEBEE - БП-1, Лучший щенок кобель! Лекс во второй раз стал Чемпионом Украины! 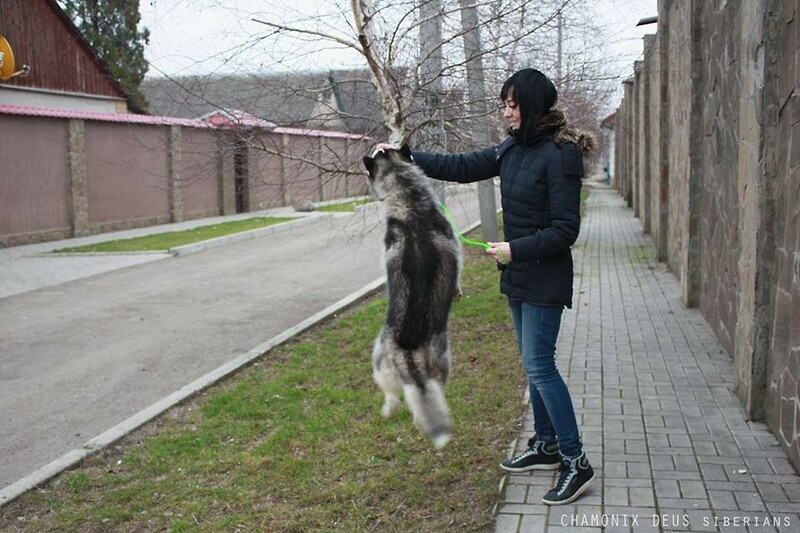 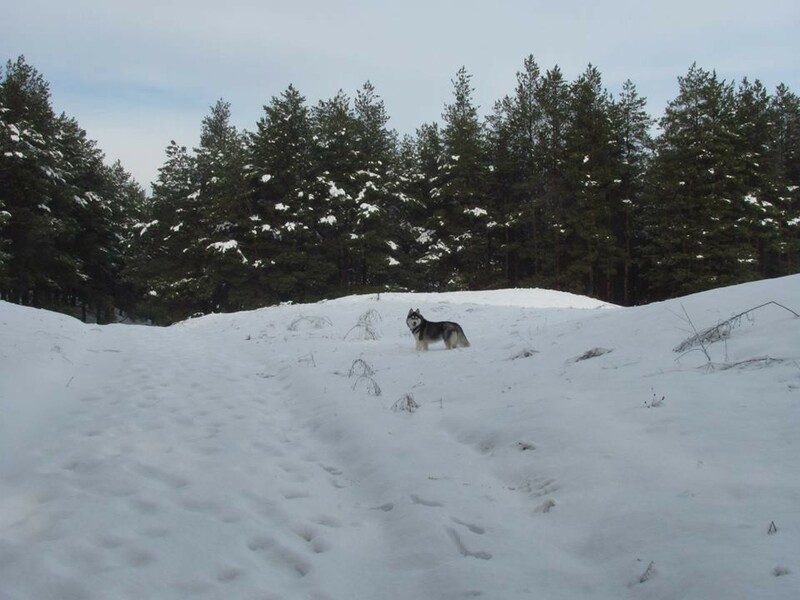 Этот титул стал двенадцатым в списке взрослых титулов. 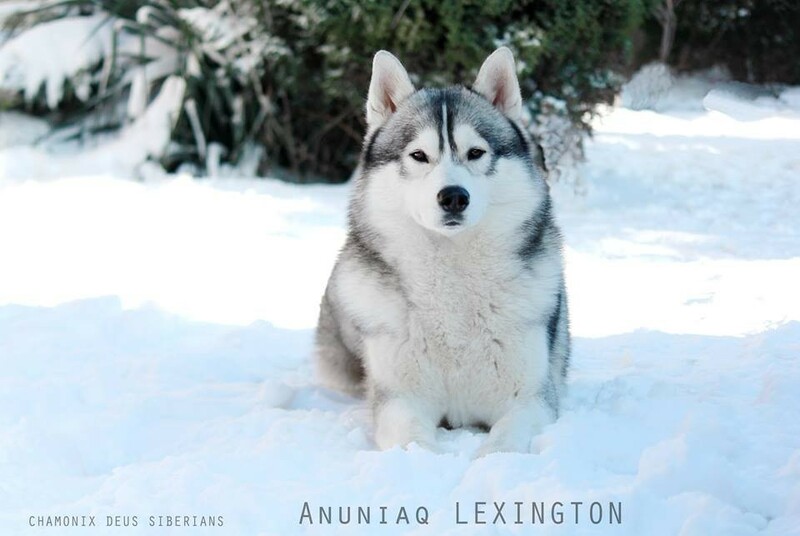 MBIS MCH Anuniaq Lexington got 1/9 Exc. 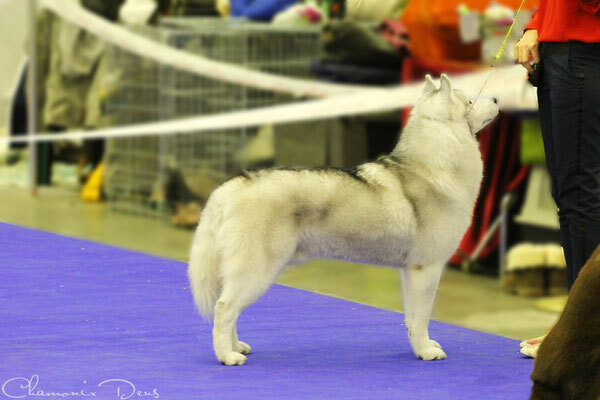 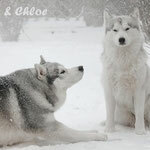 and CAC in Intermediate class!!! And become new champion of CZECH REPUBLIC! 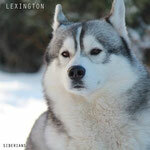 This title become #11 in the list of Lexington adult champion titles.